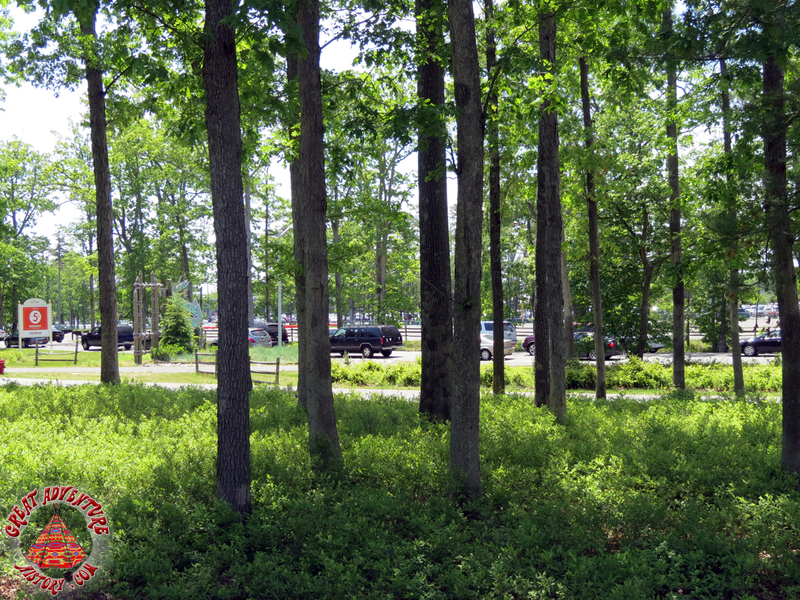 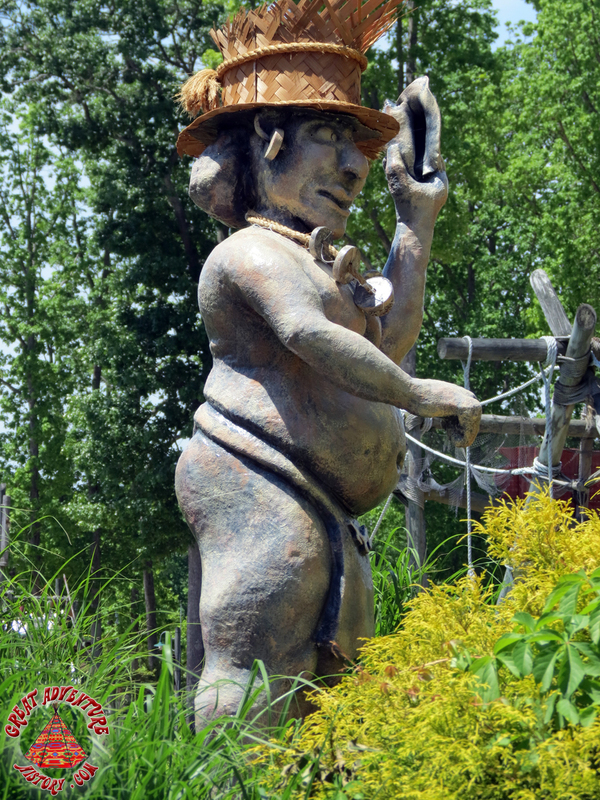 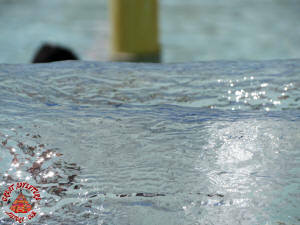 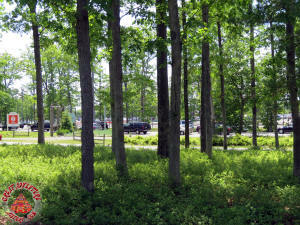 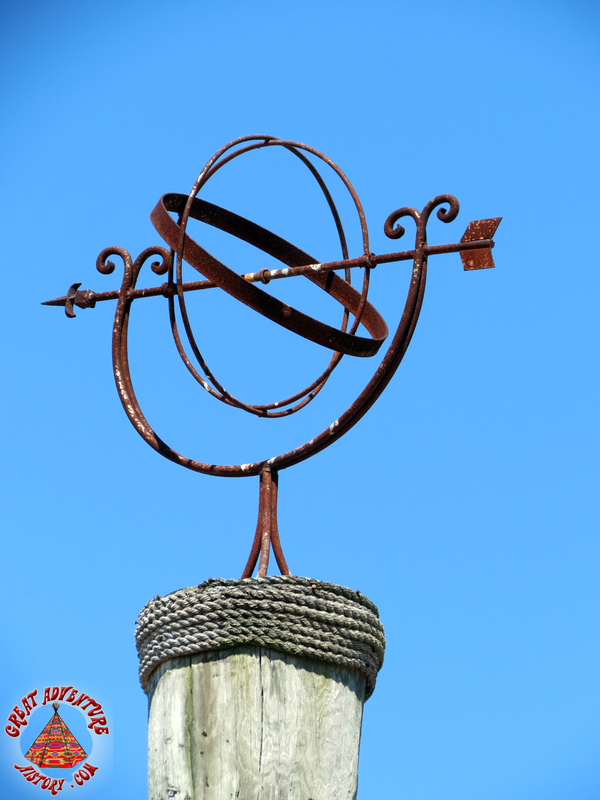 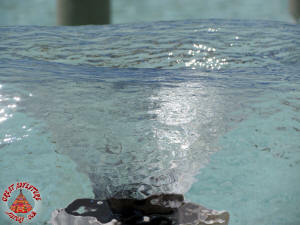 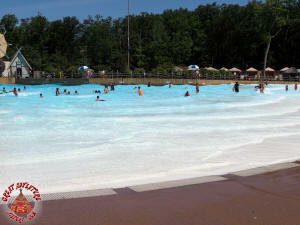 As the Memorial Day weekend progressed the weather continued to get better and warmer. 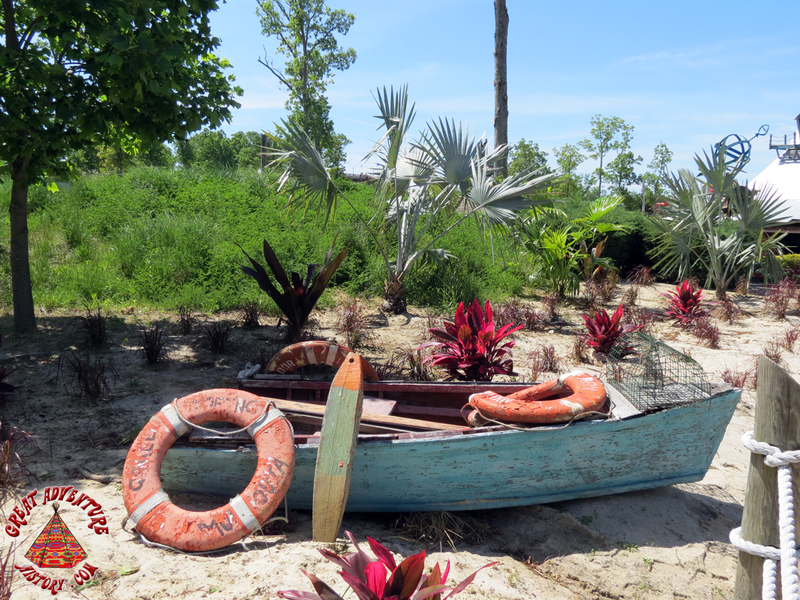 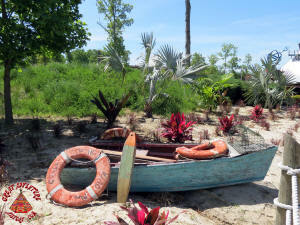 It was great to experience the warm sun, the sound of waves crashing, and the smell of suntan lotion again. 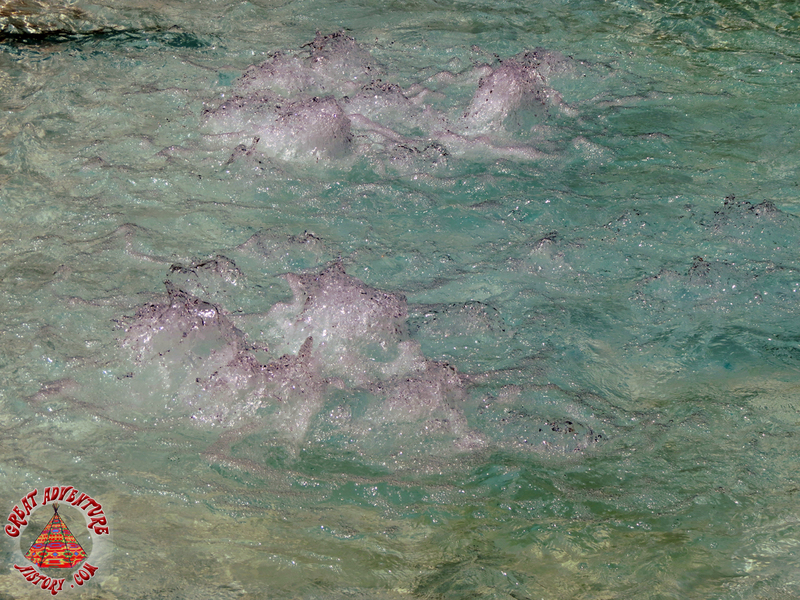 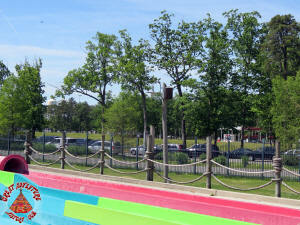 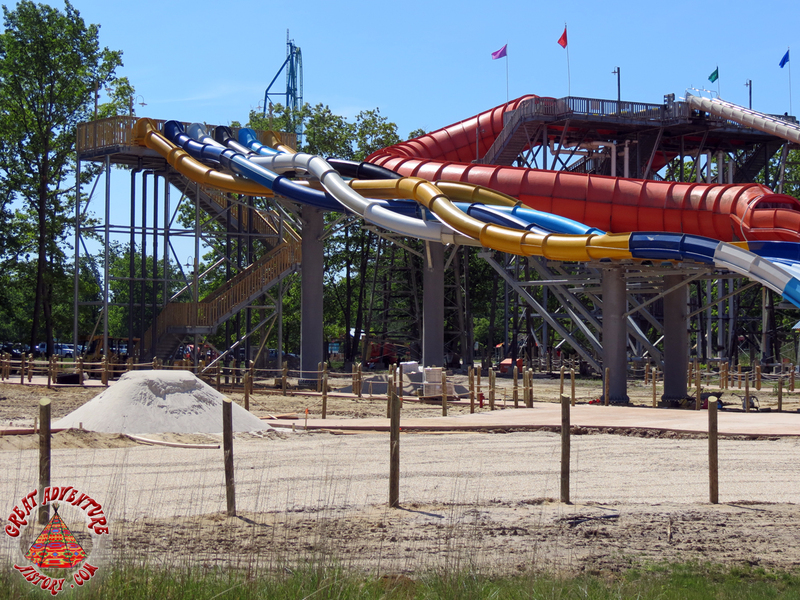 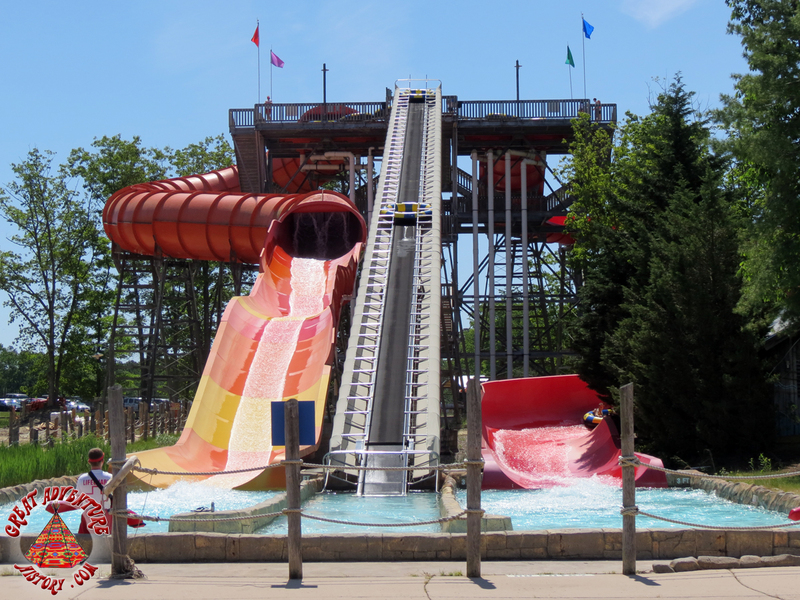 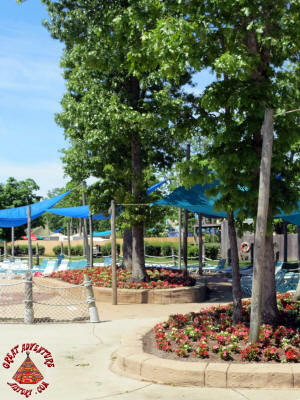 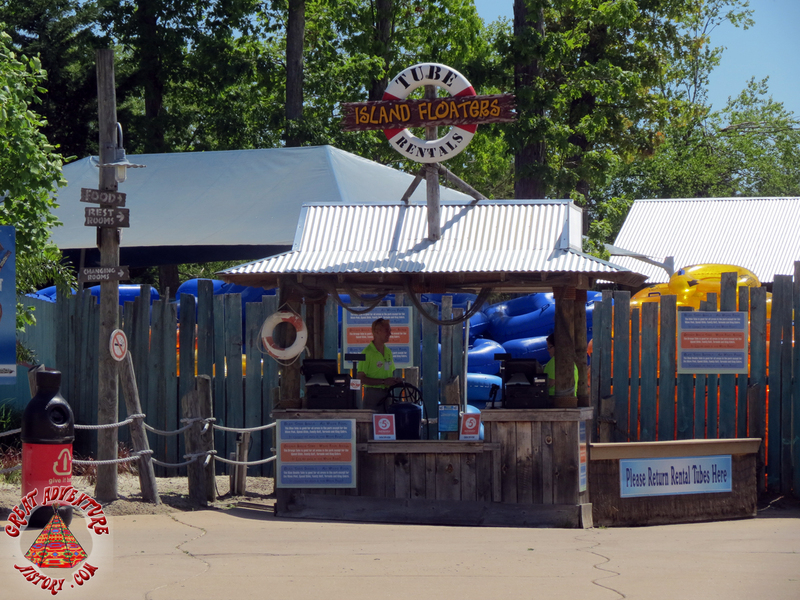 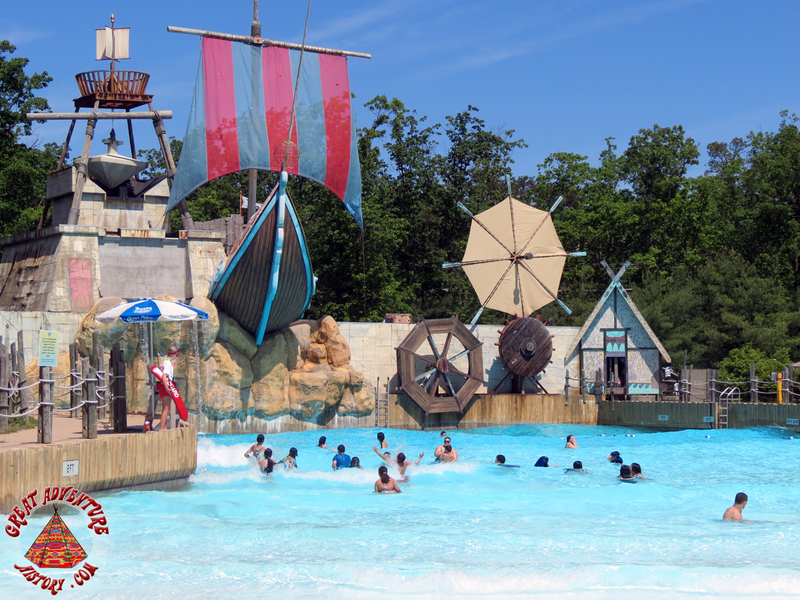 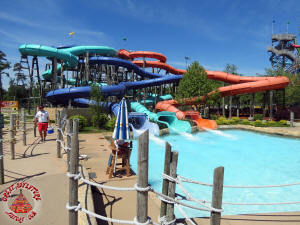 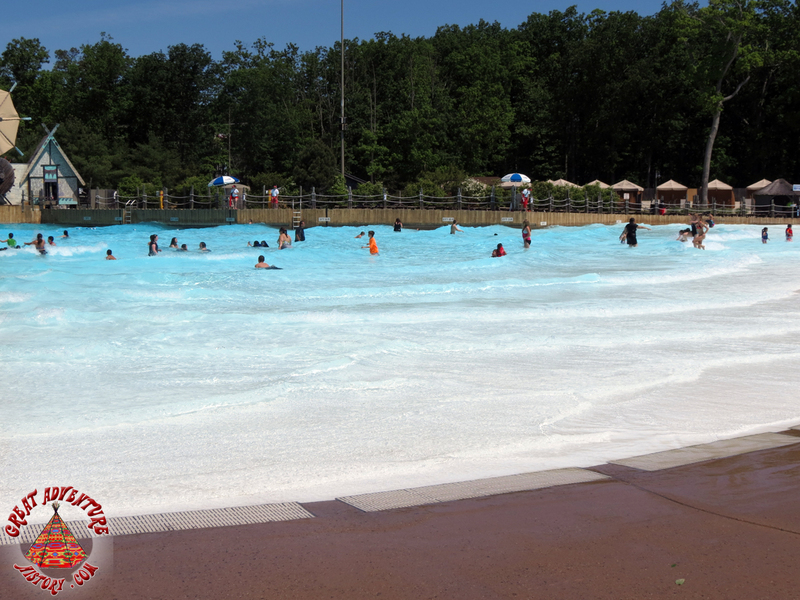 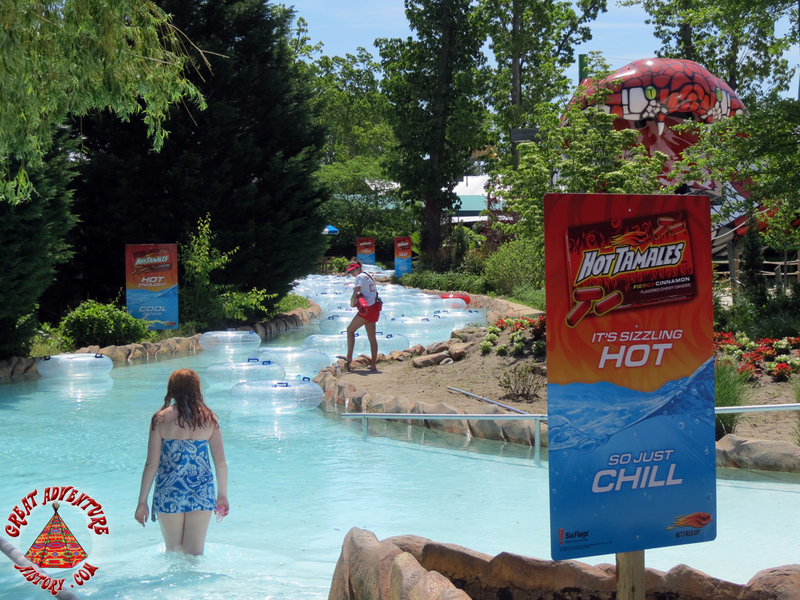 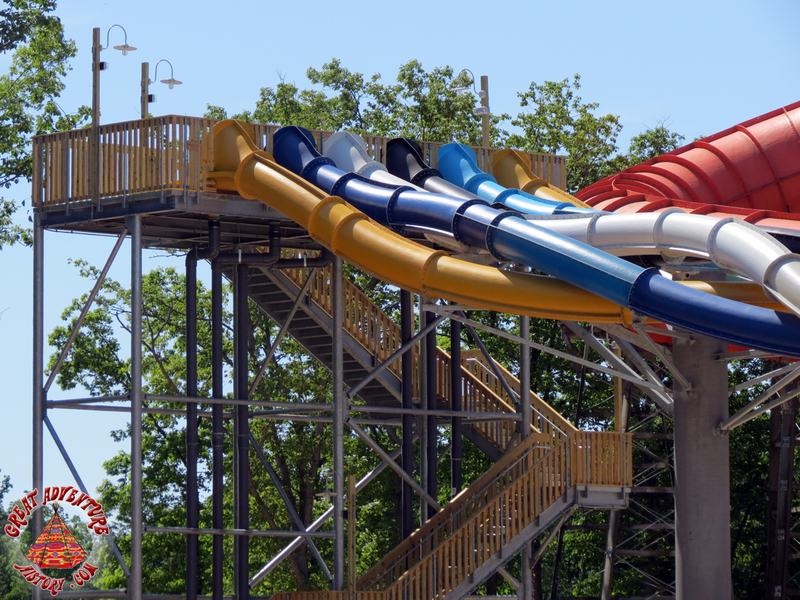 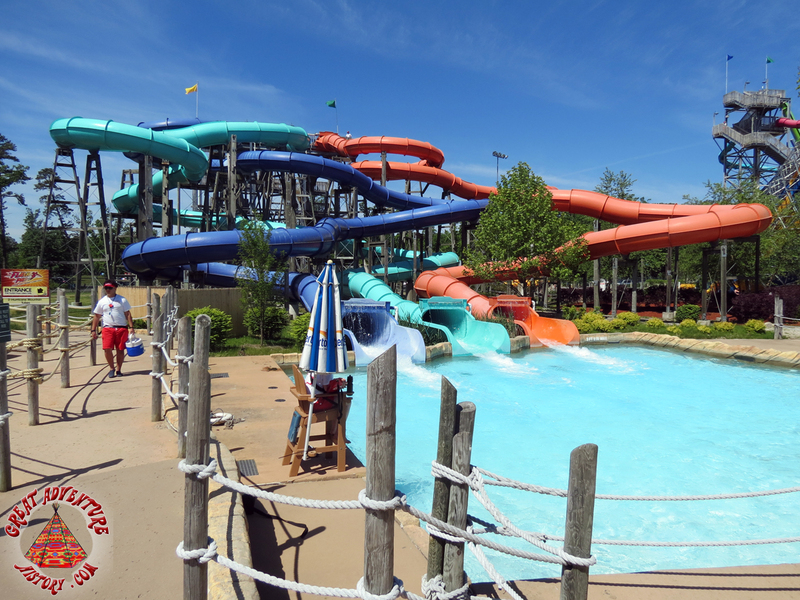 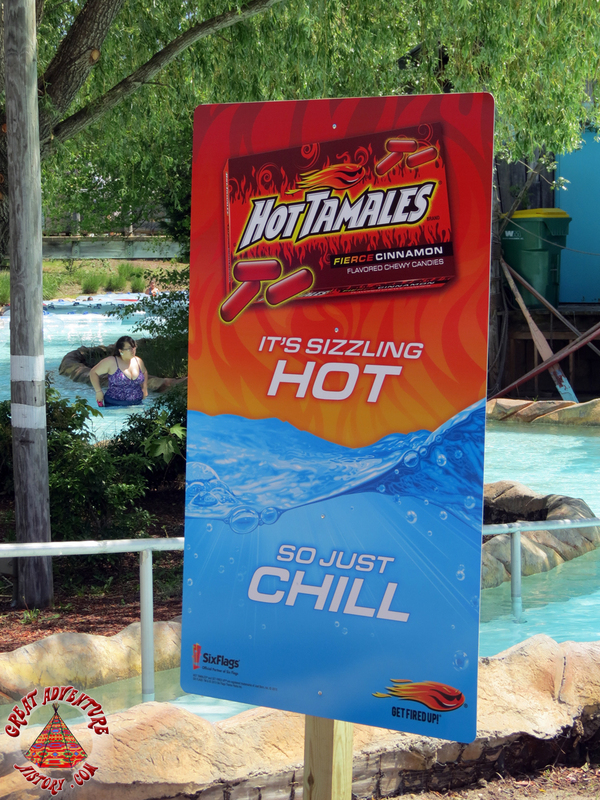 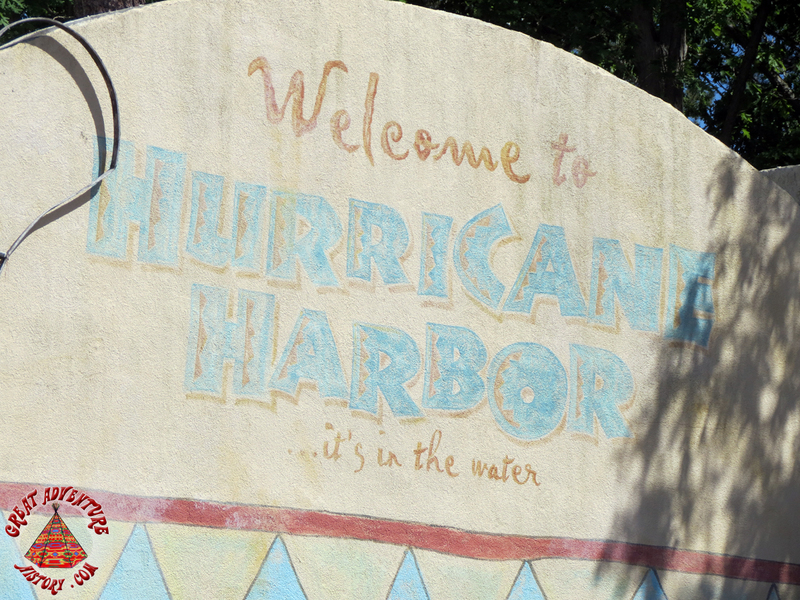 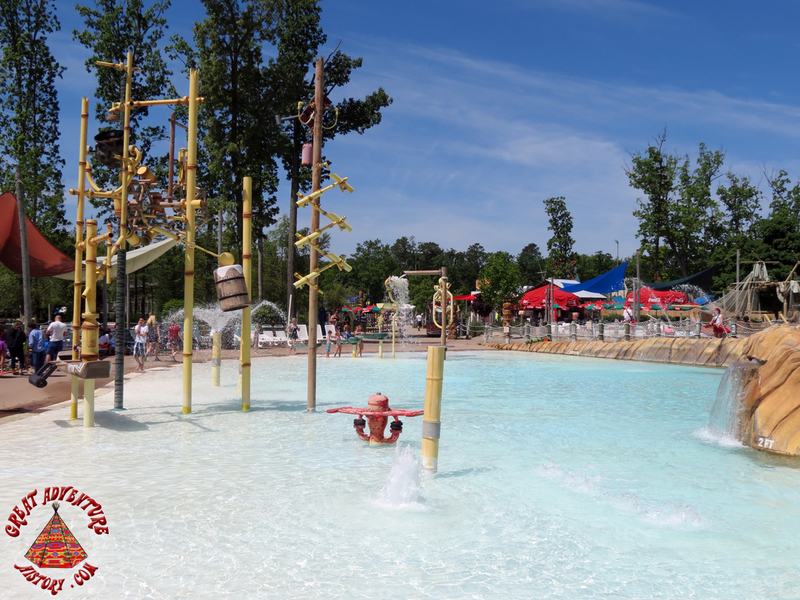 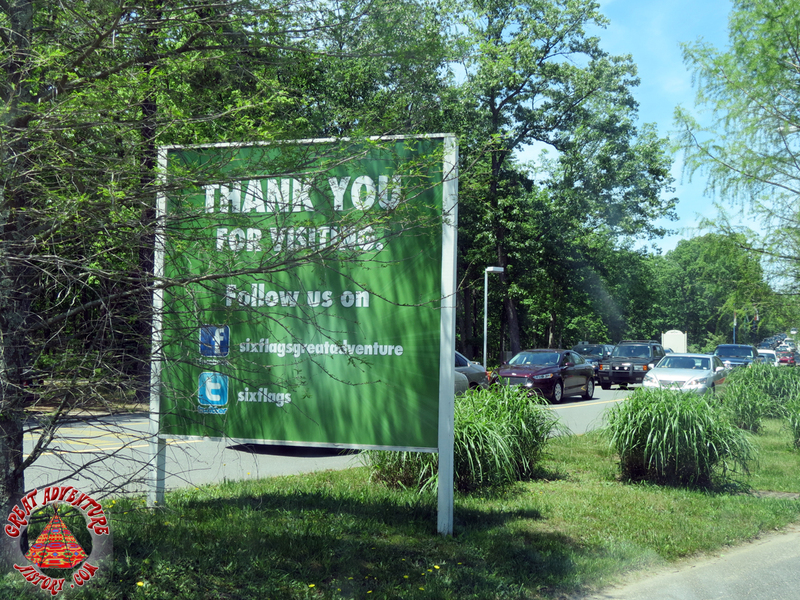 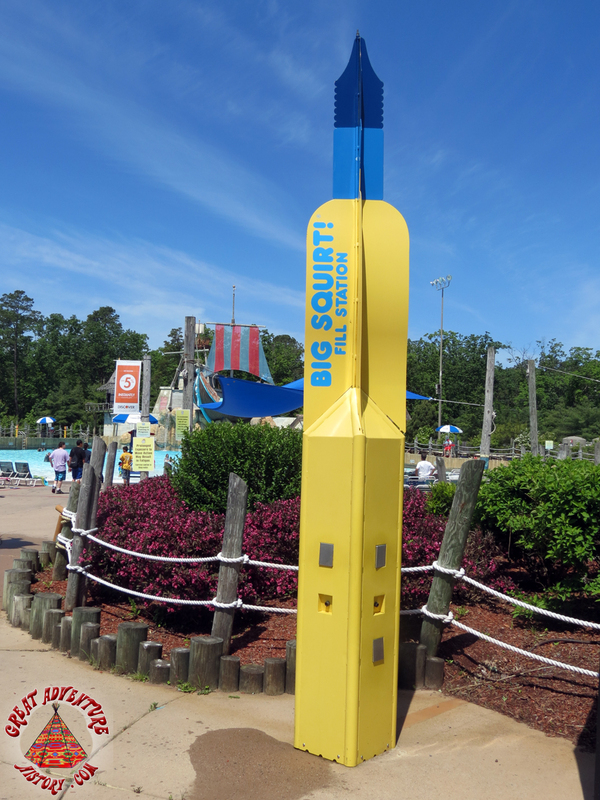 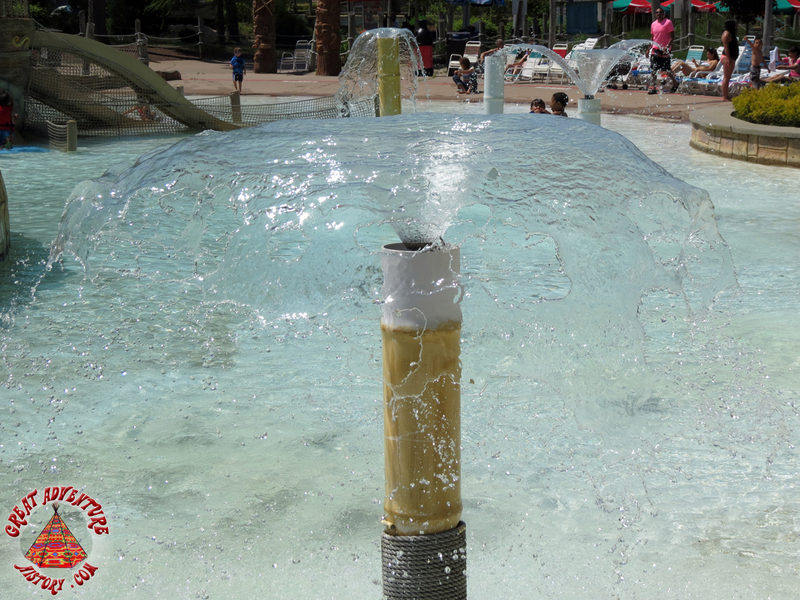 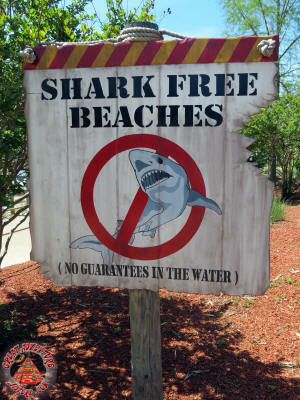 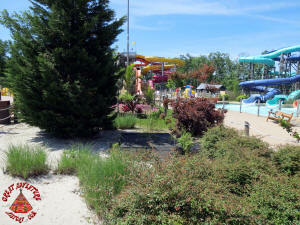 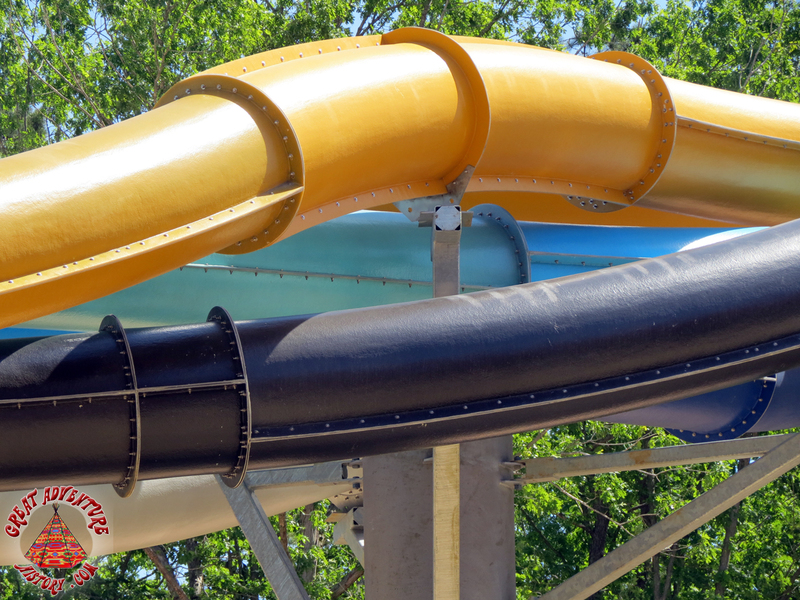 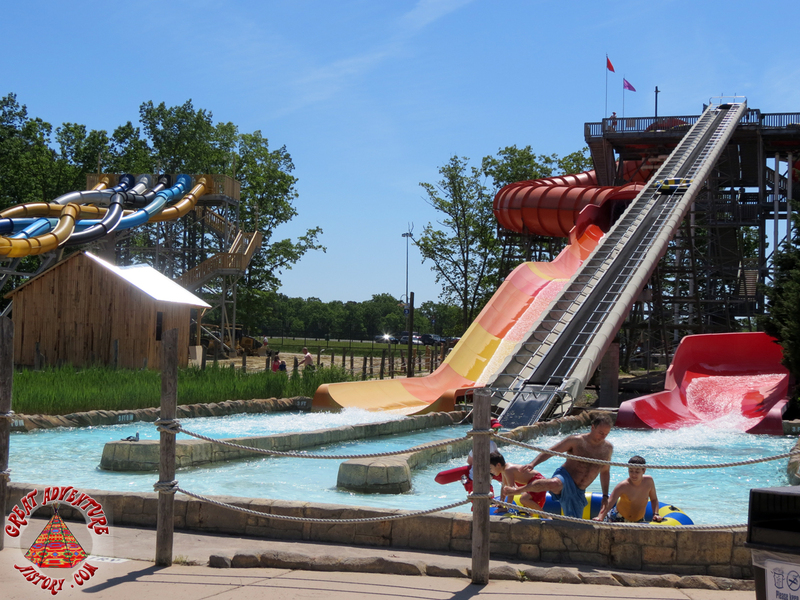 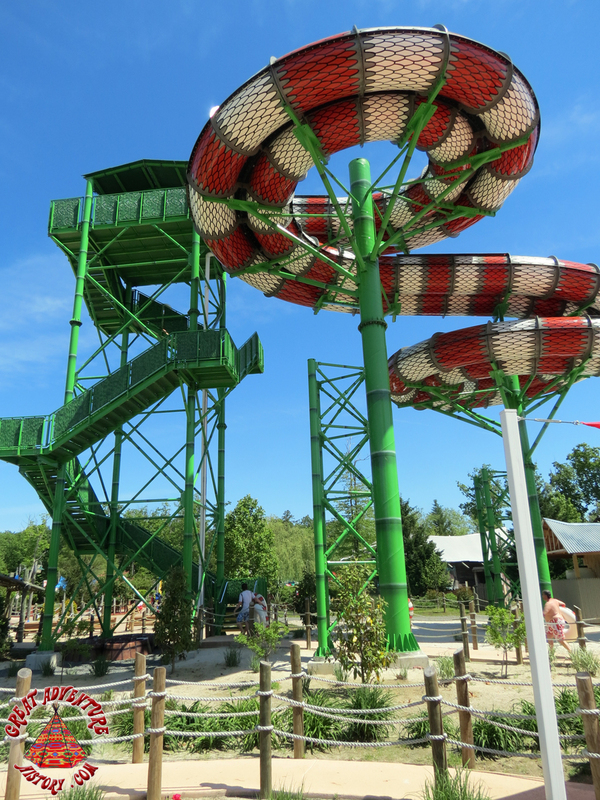 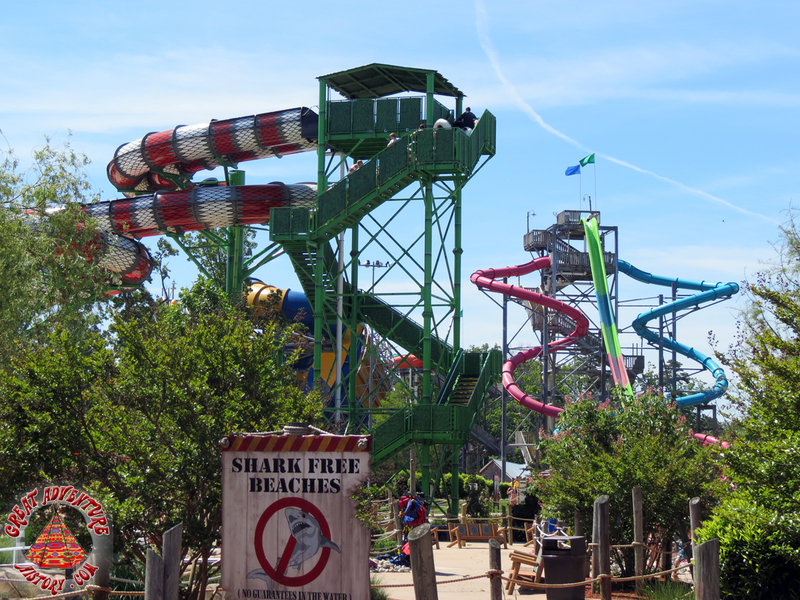 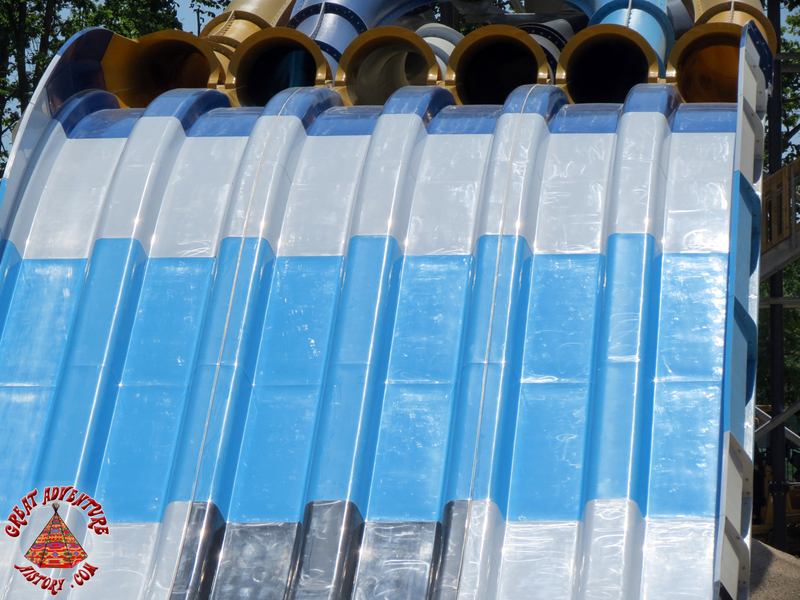 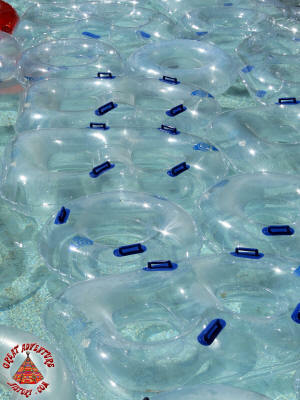 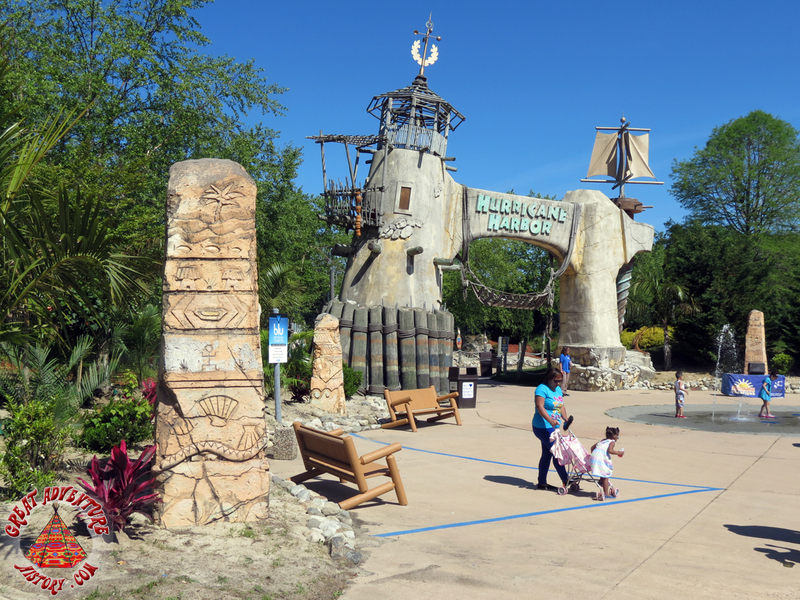 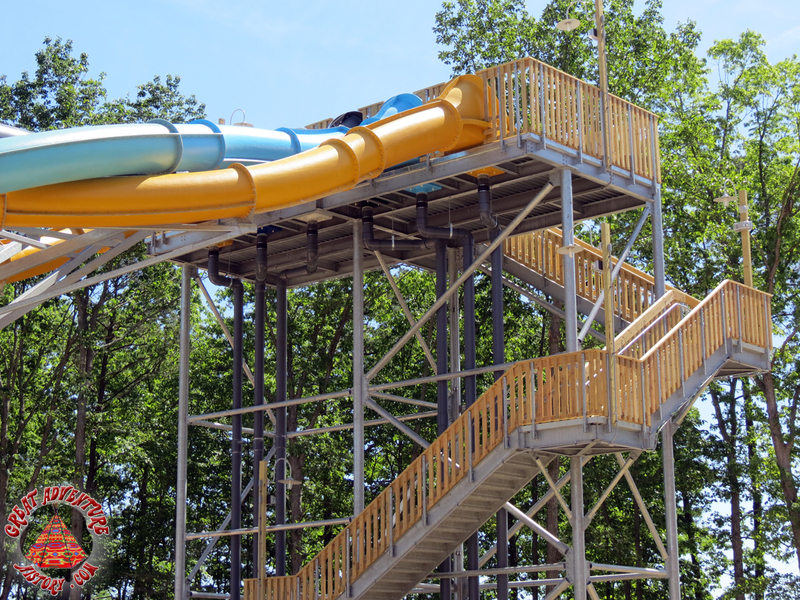 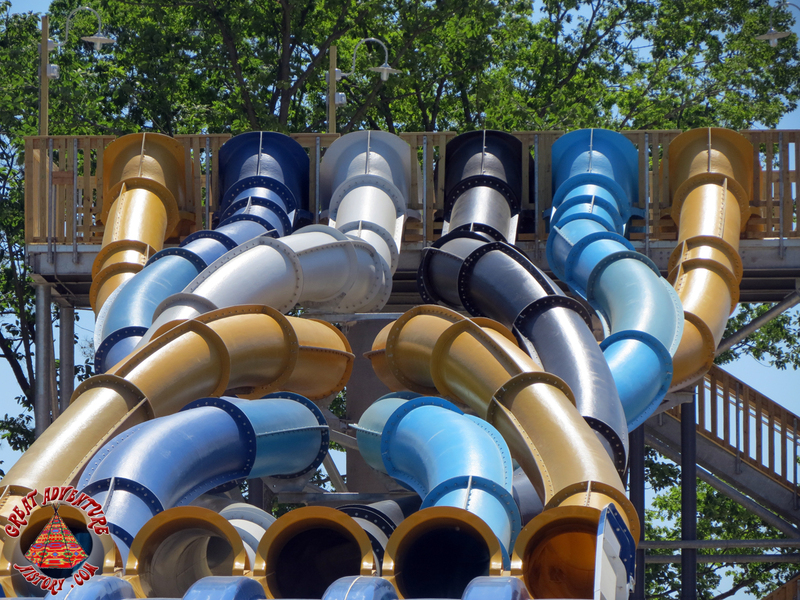 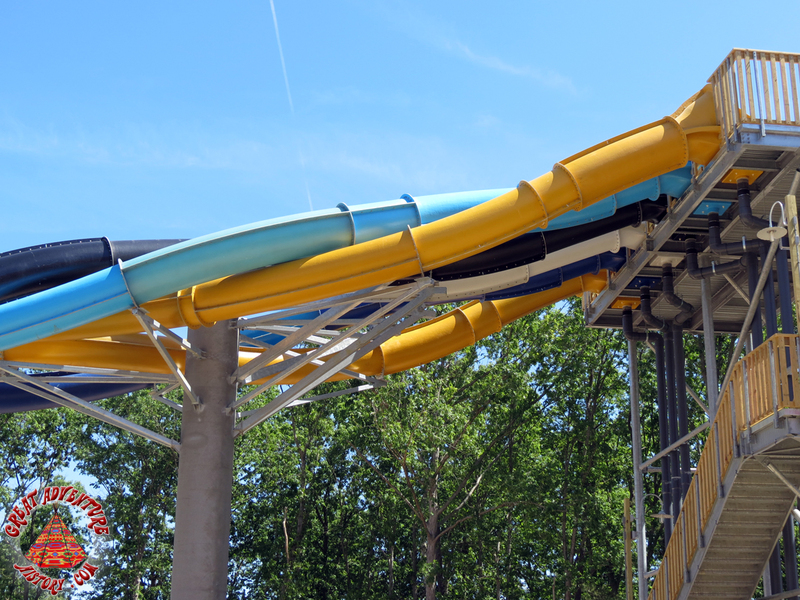 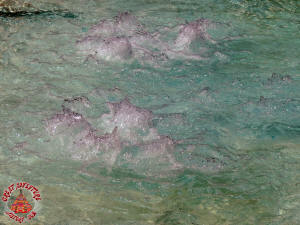 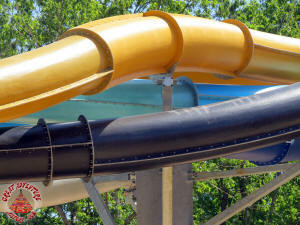 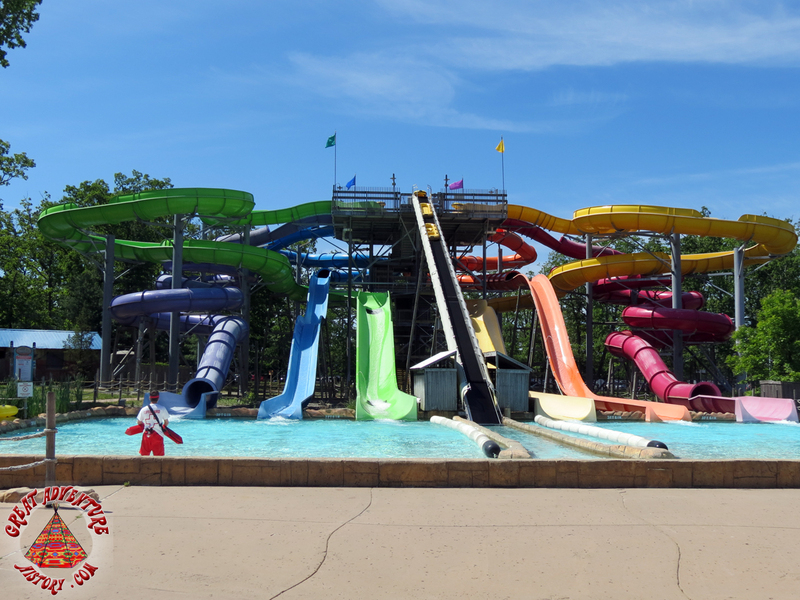 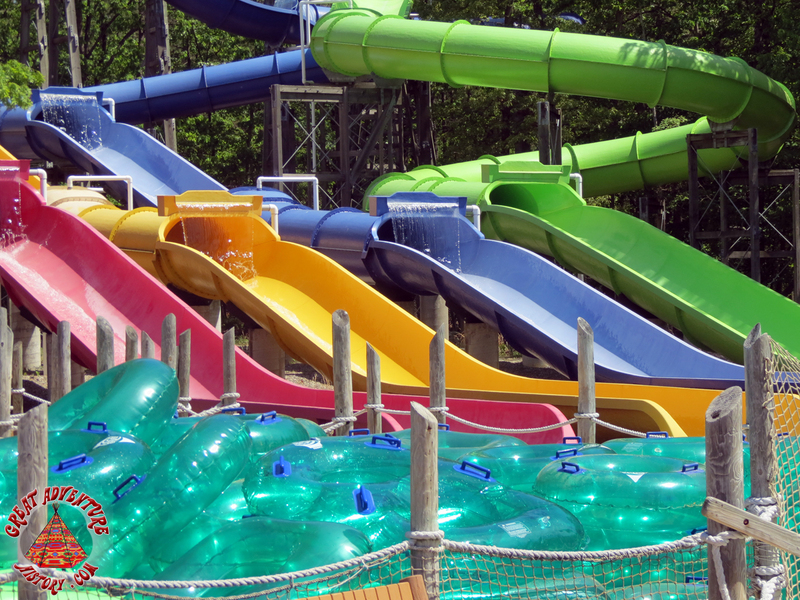 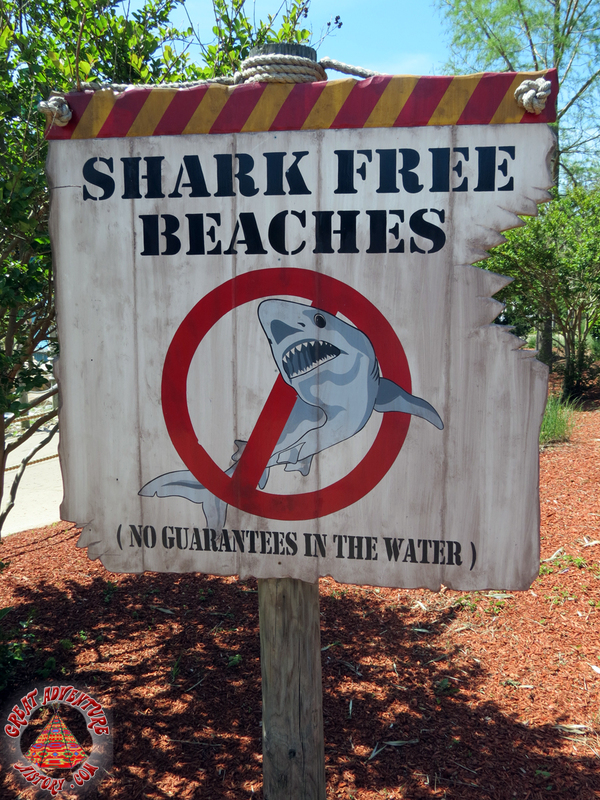 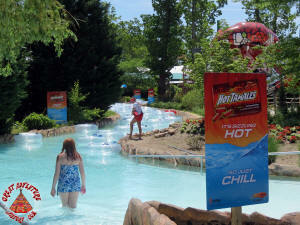 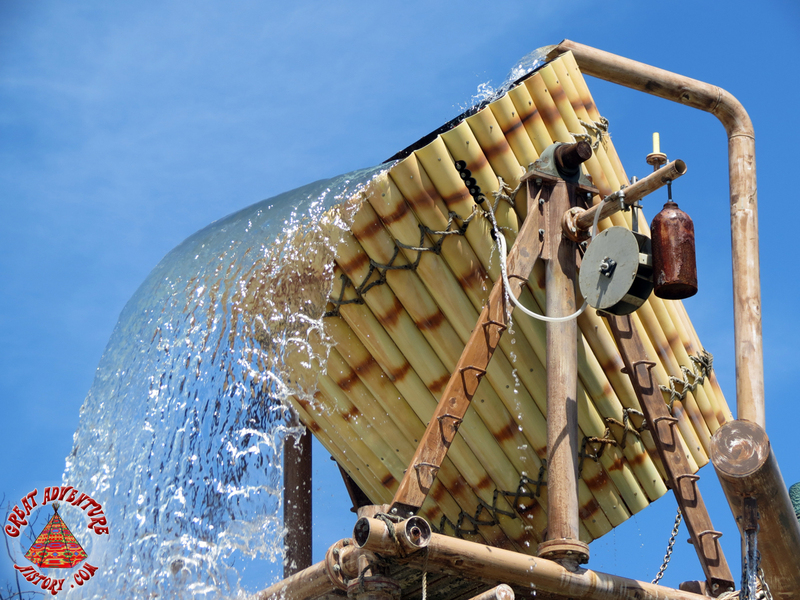 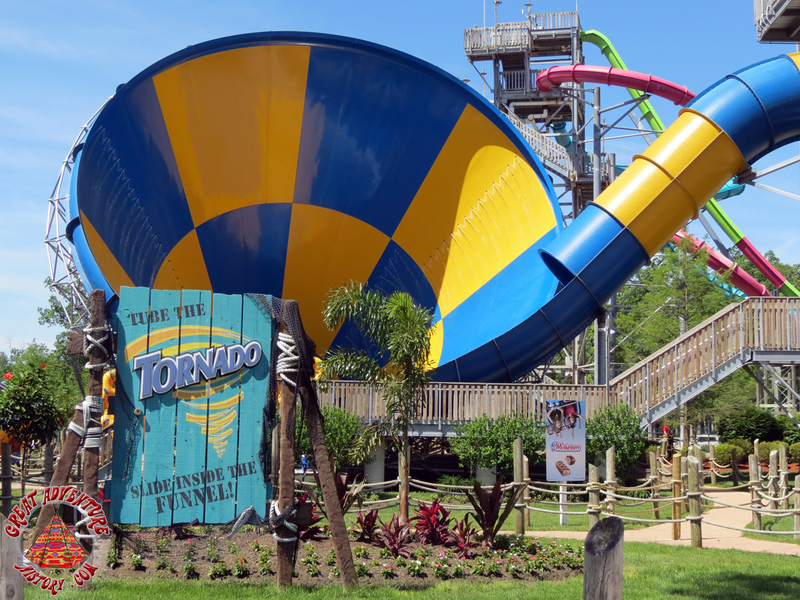 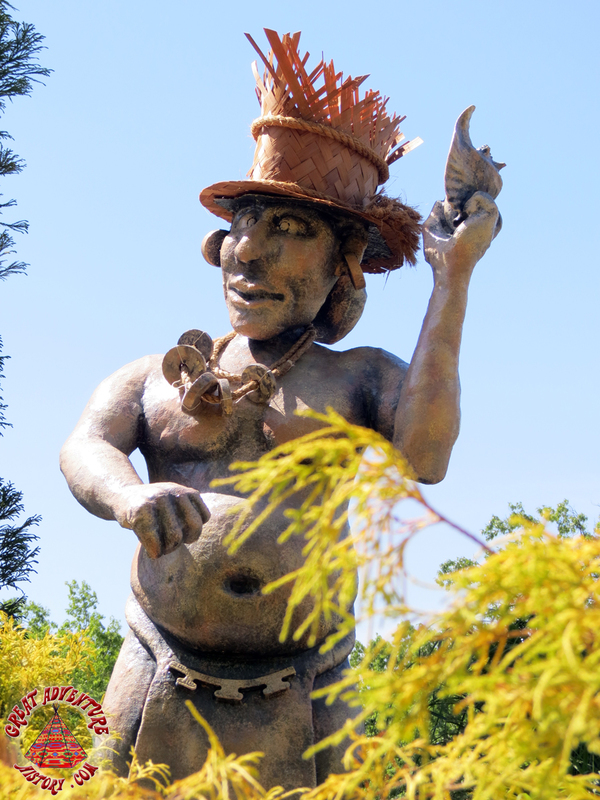 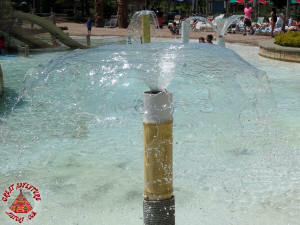 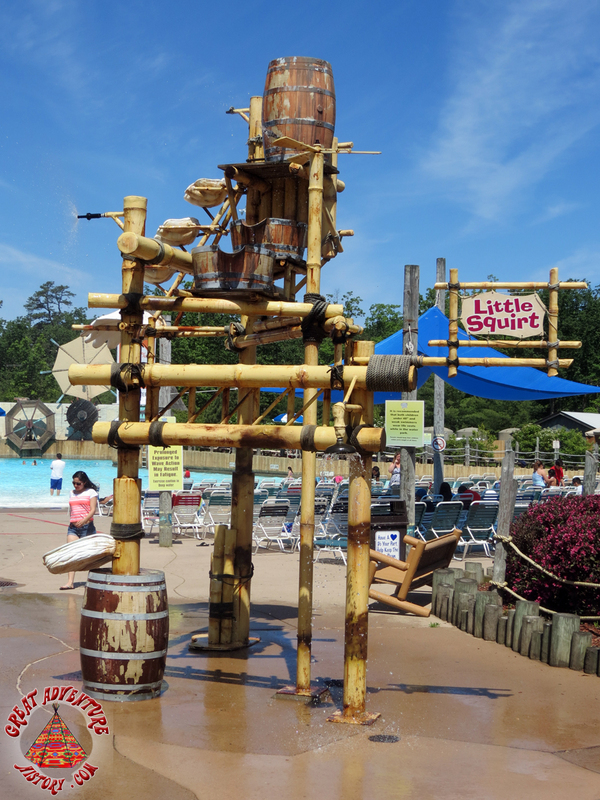 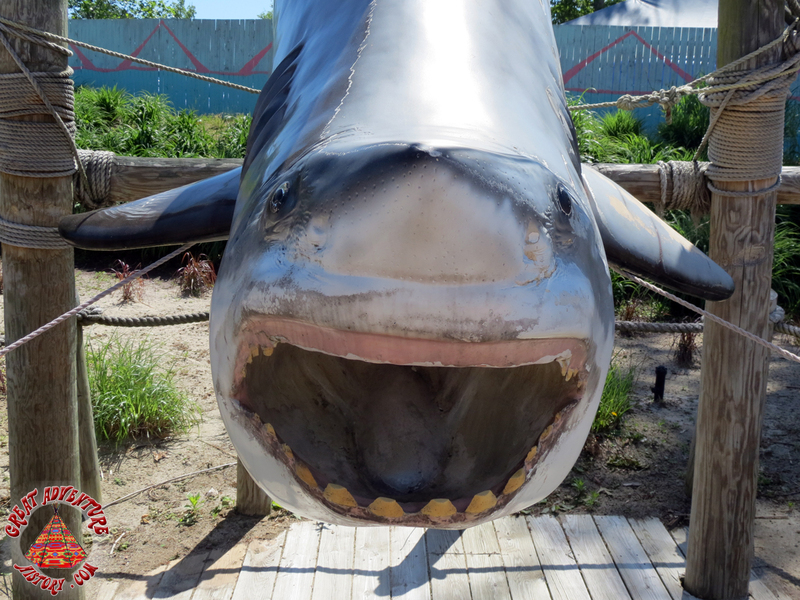 Enjoy these photos from our first visit to Hurricane Harbor for the 2013 season. 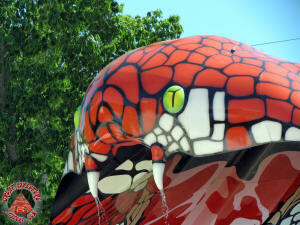 If you missed our Safari Off Road Adventure Media Day Trip Report click HERE. 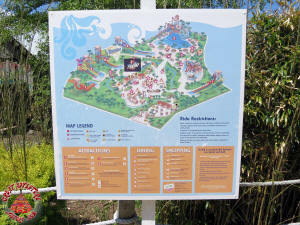 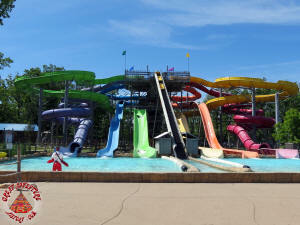 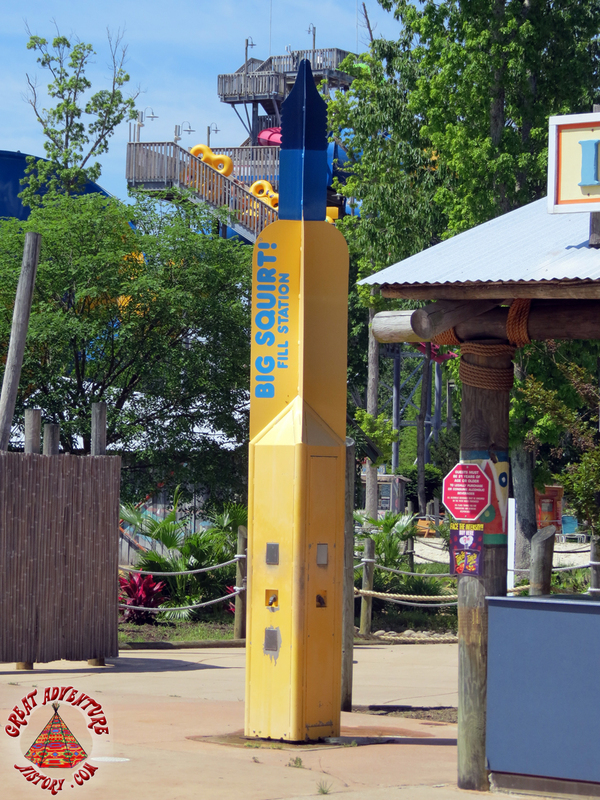 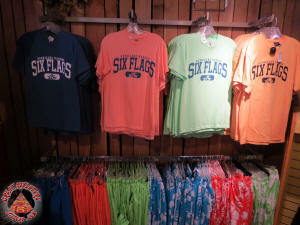 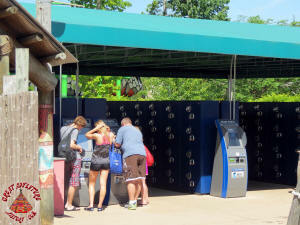 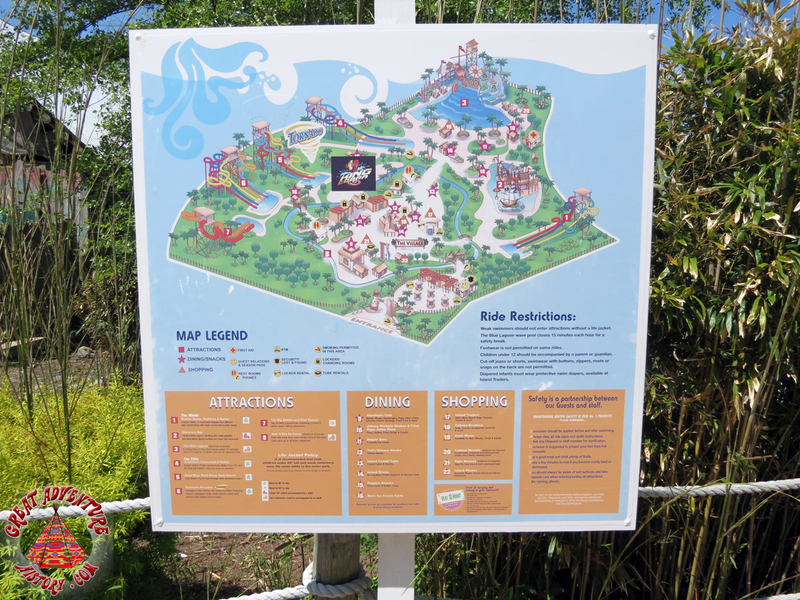 The new style lockers are now also located in Hurricane Harbor. 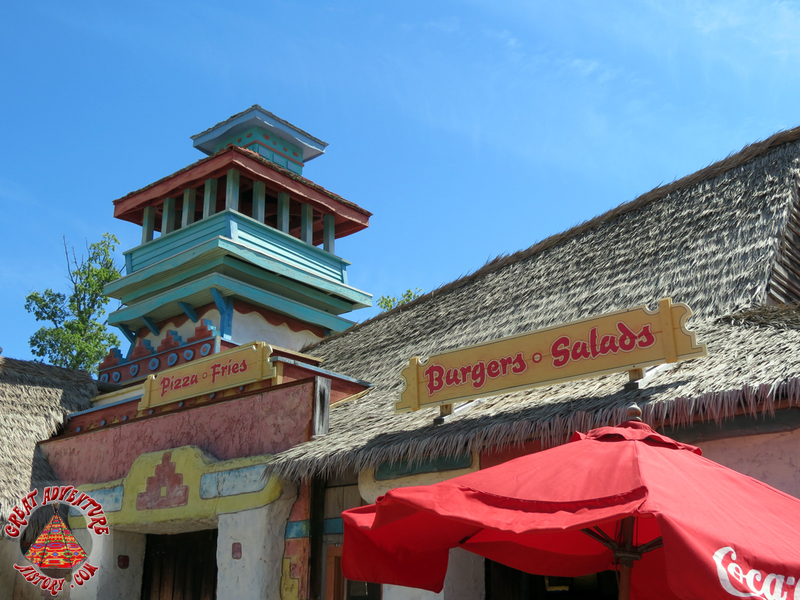 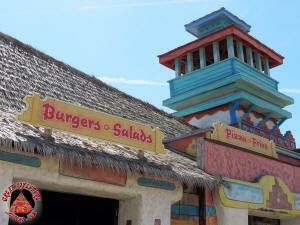 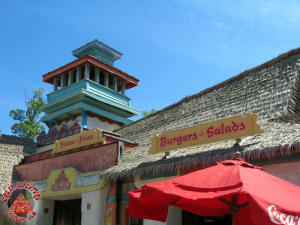 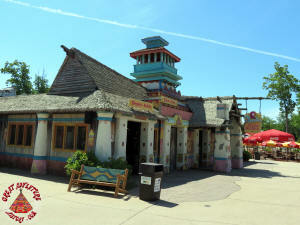 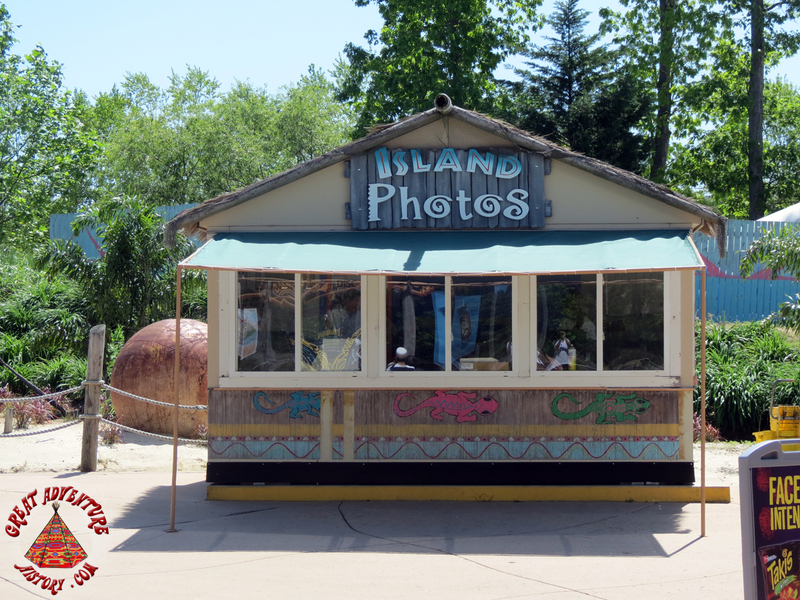 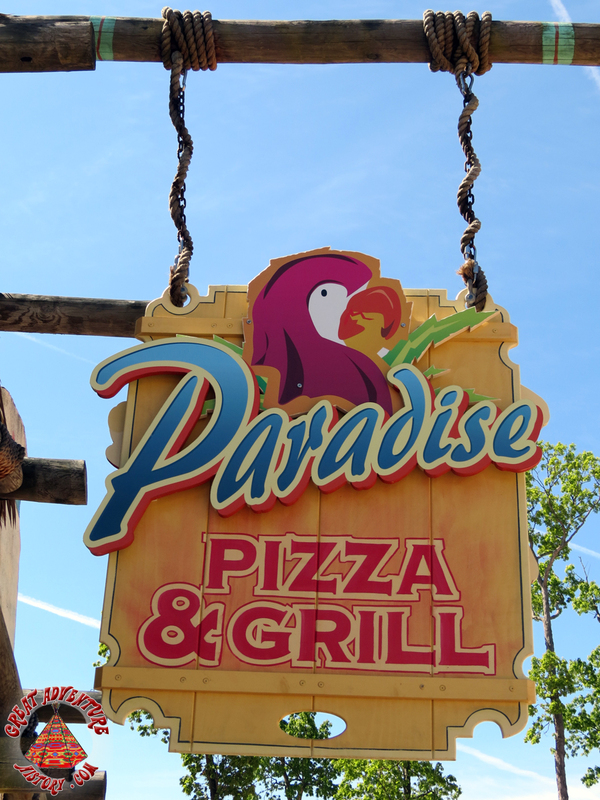 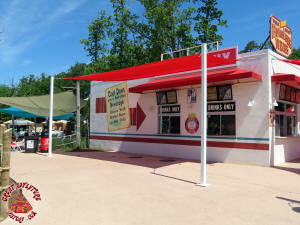 The Aquatopia has been renamed Paradise Pizza & Grill. 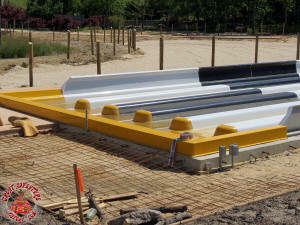 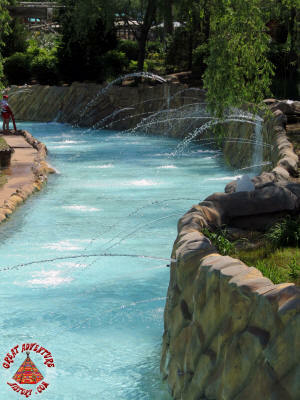 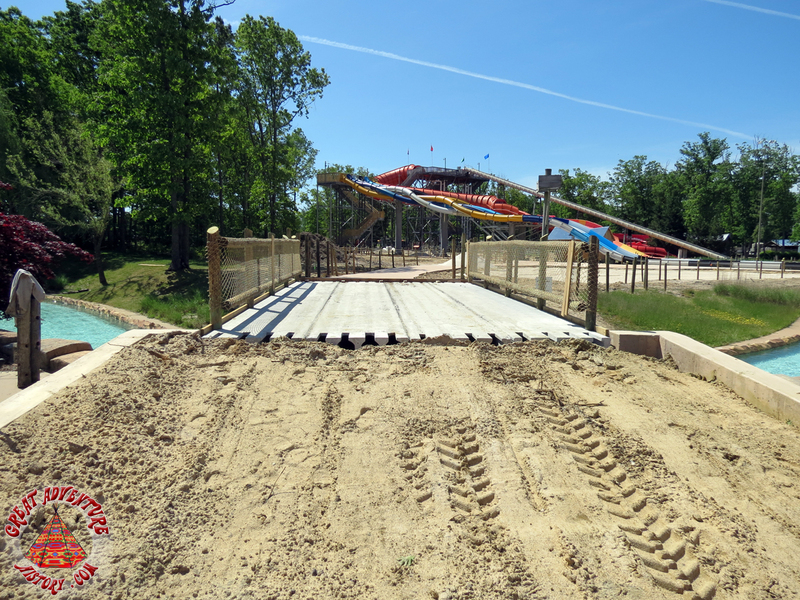 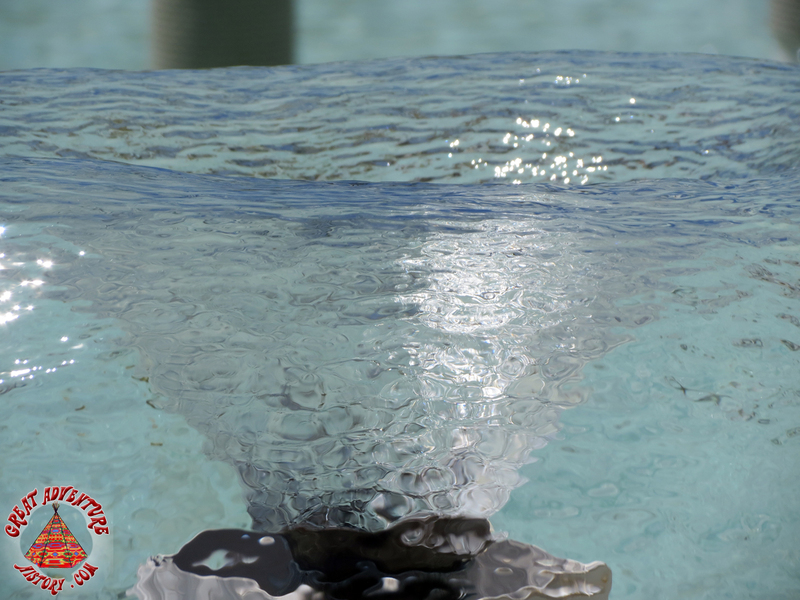 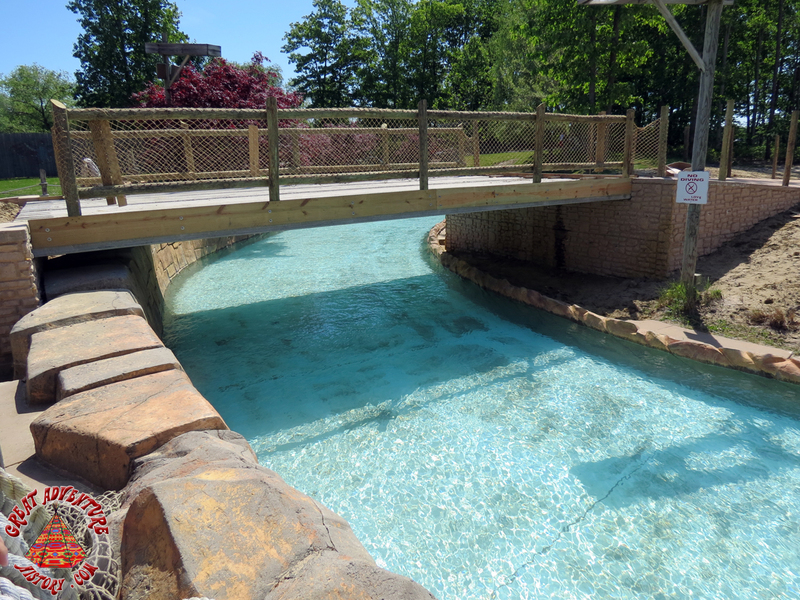 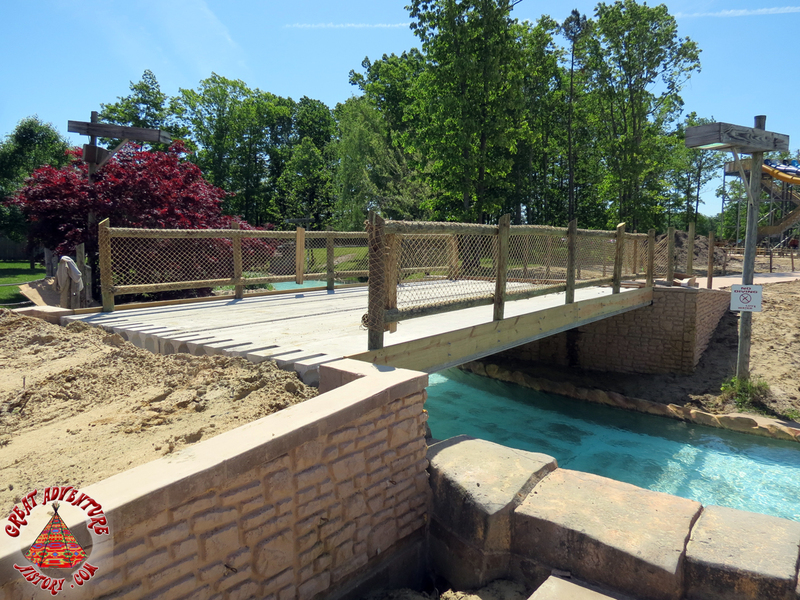 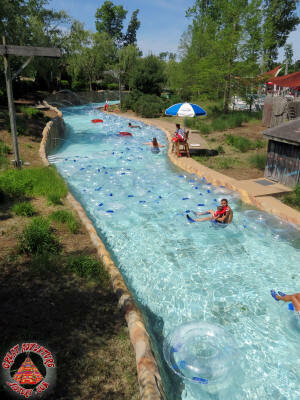 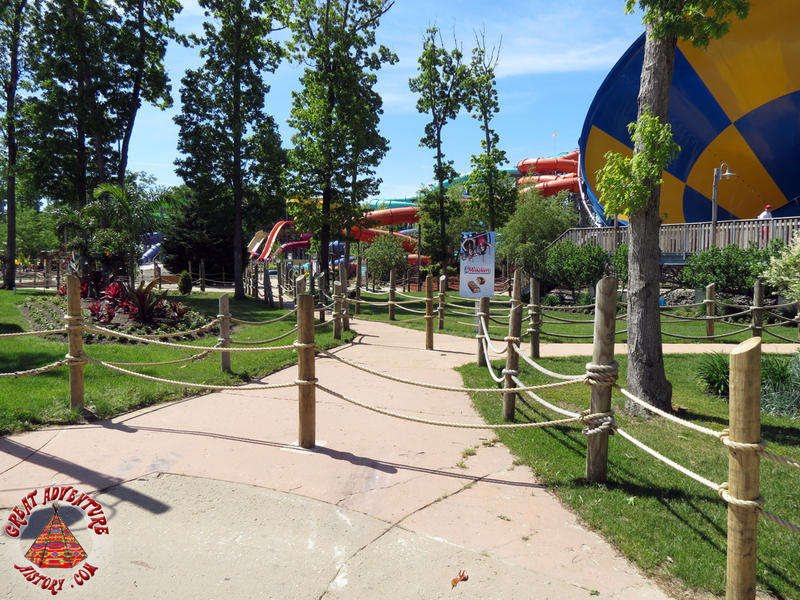 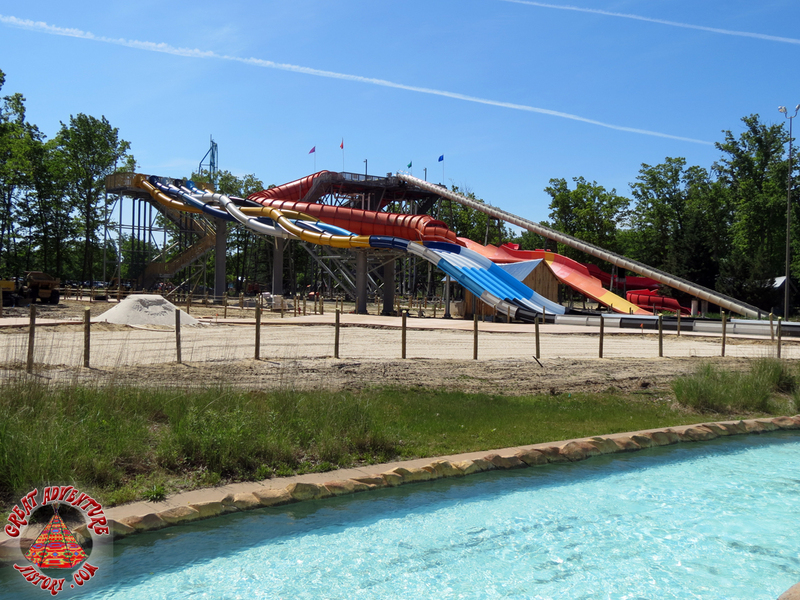 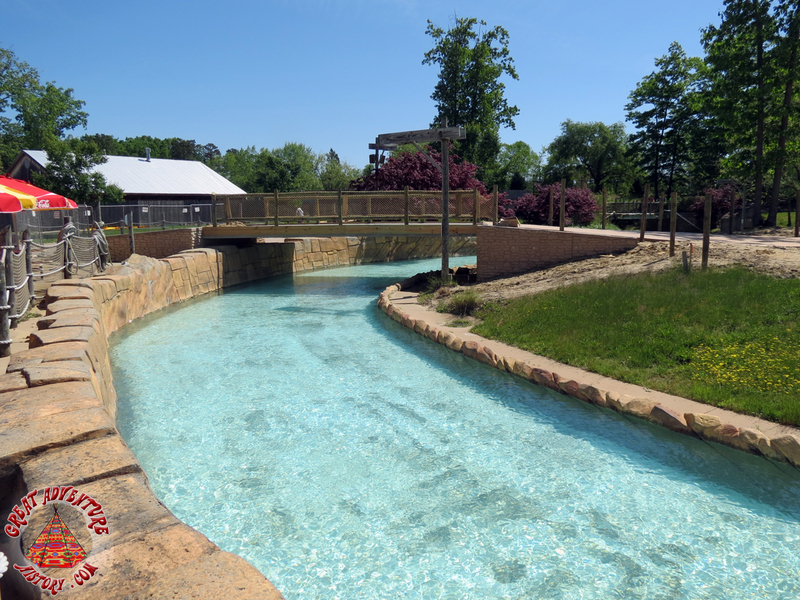 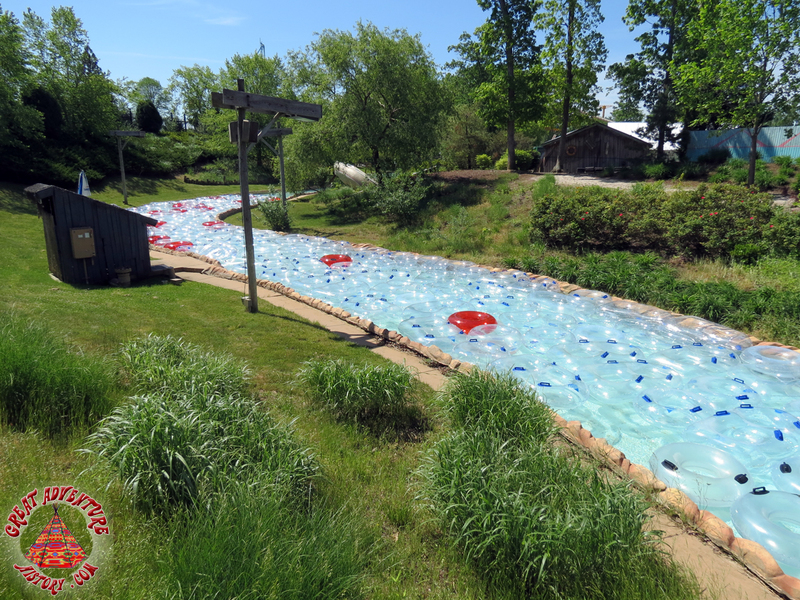 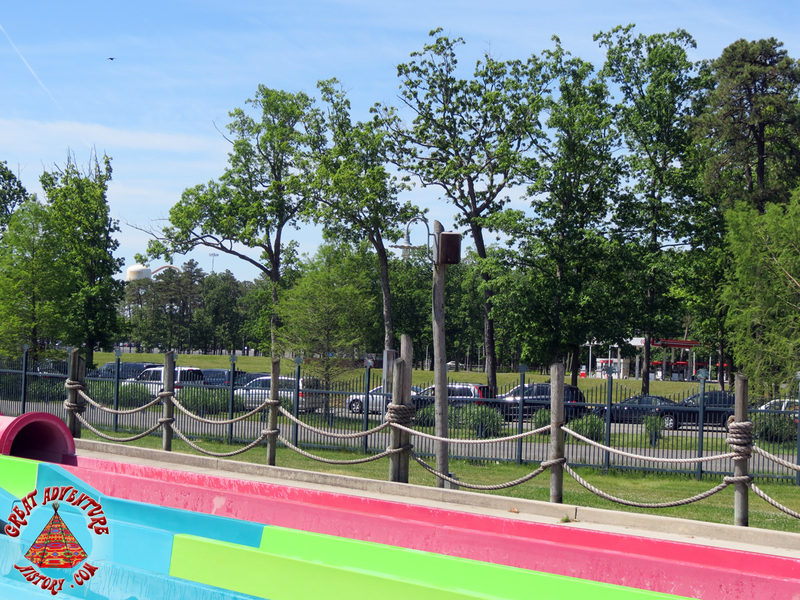 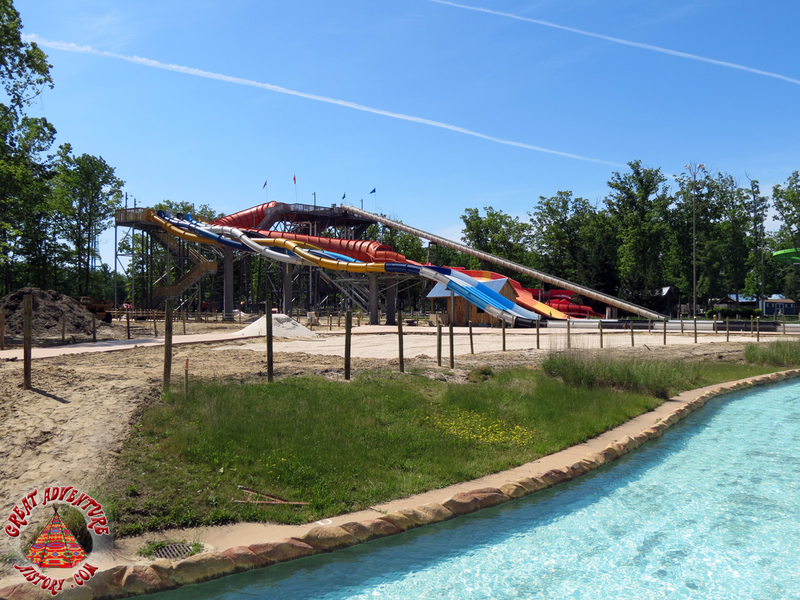 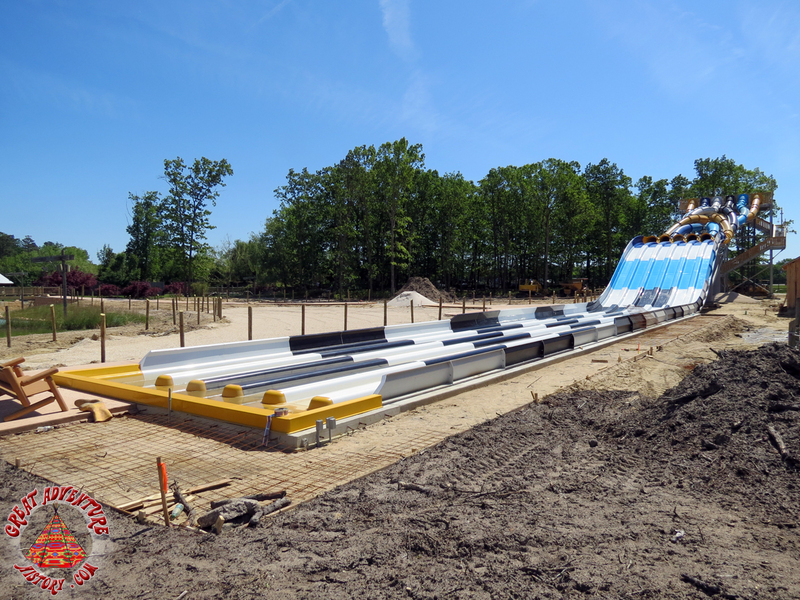 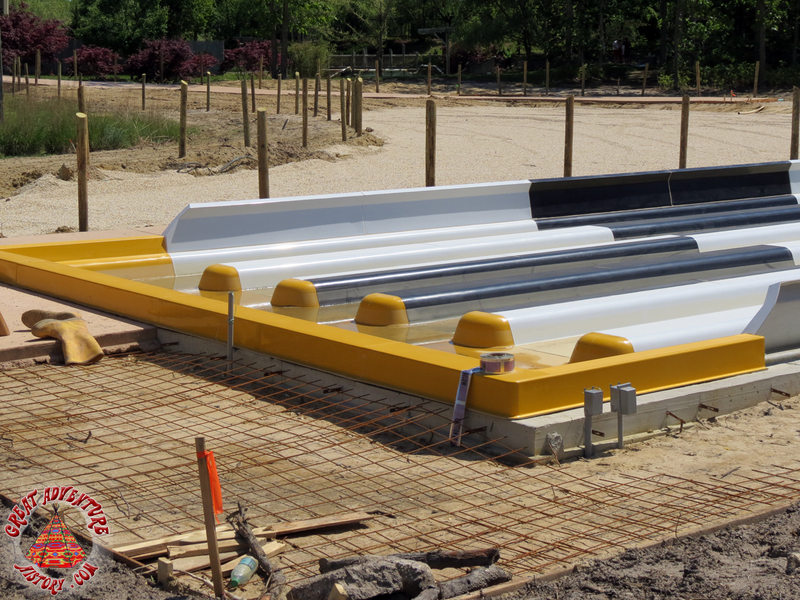 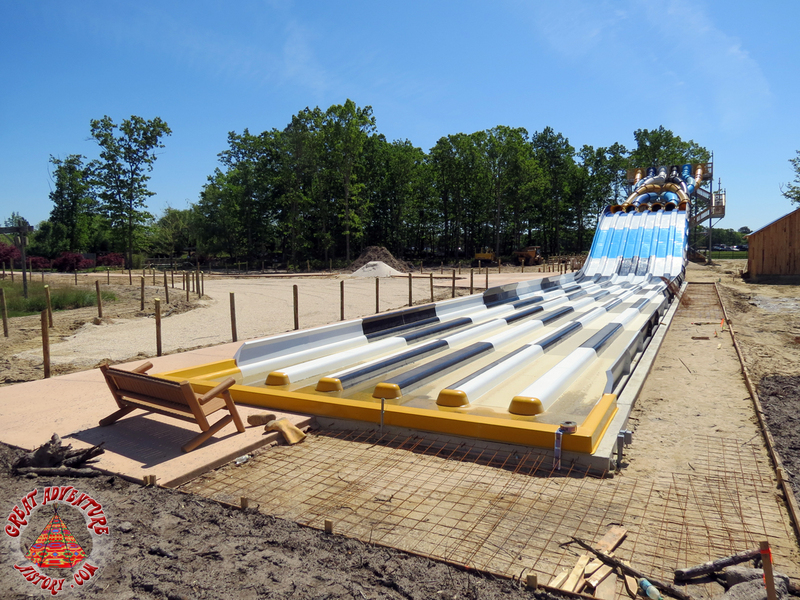 A new bridge has been constructed near the Paradise Pizza & Grill (Aquatopia) to allow access to the new Big Wave Racer slide. 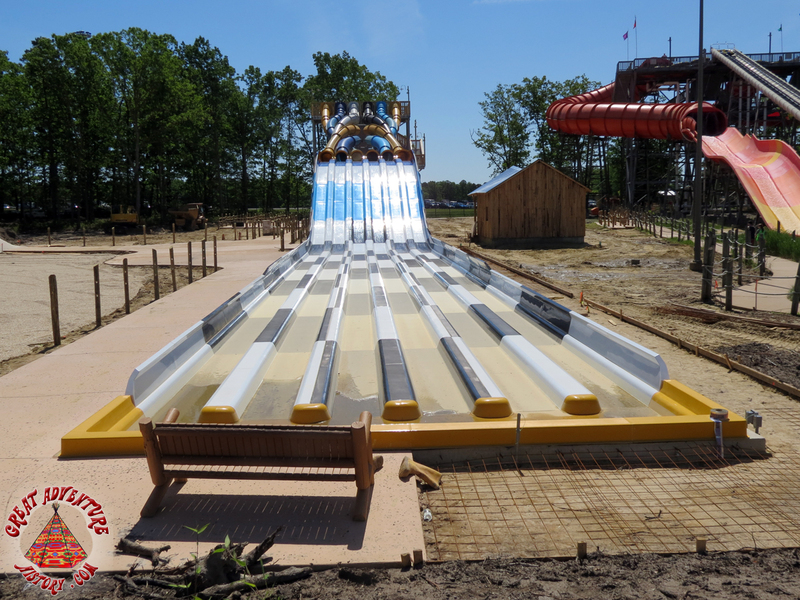 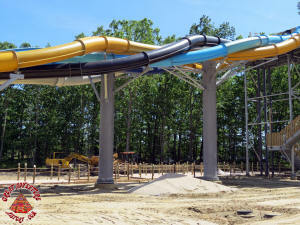 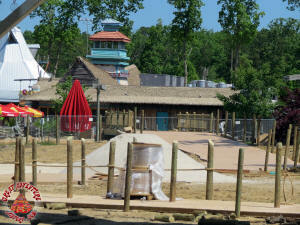 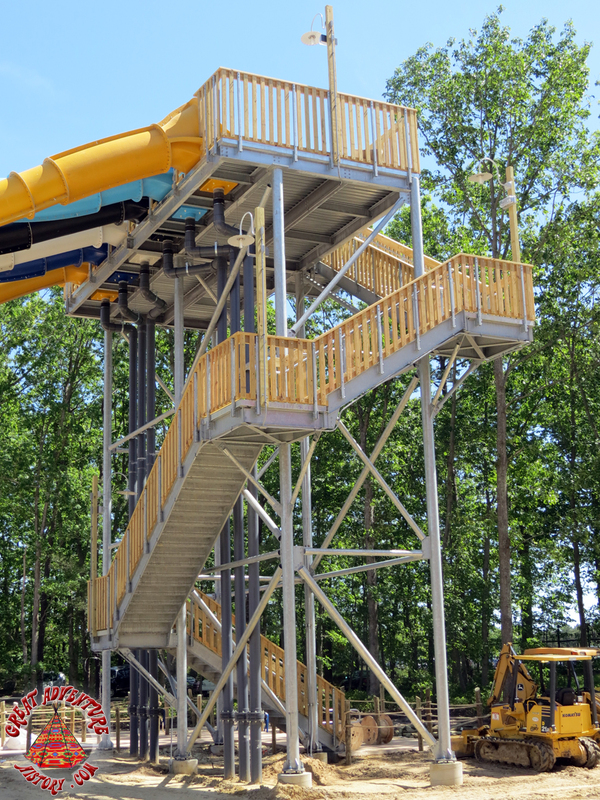 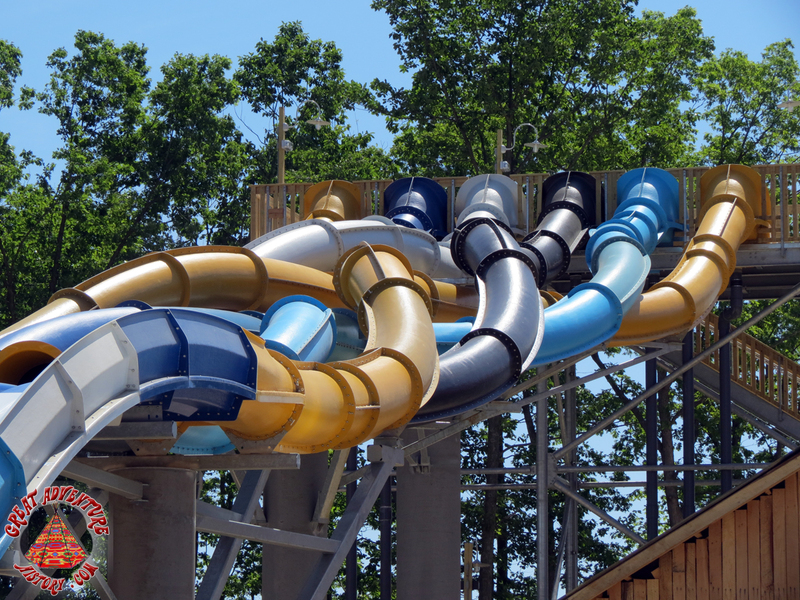 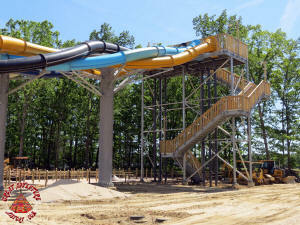 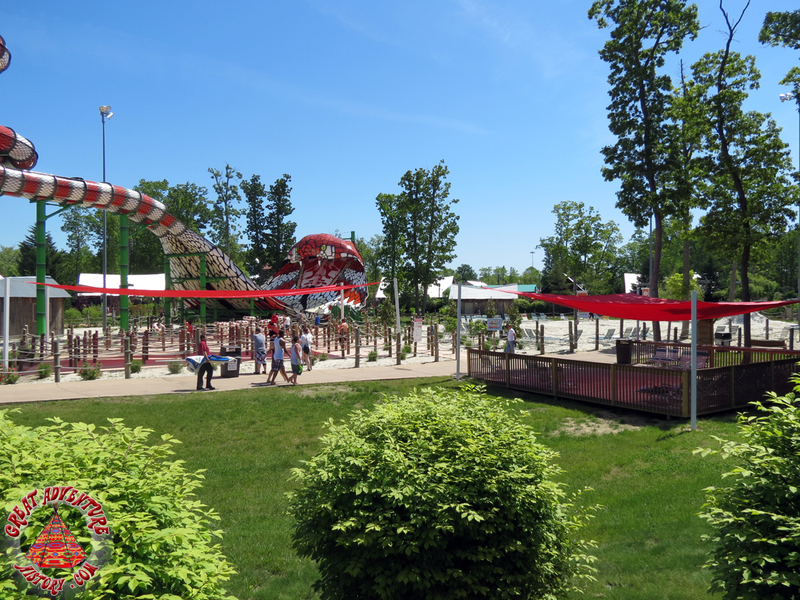 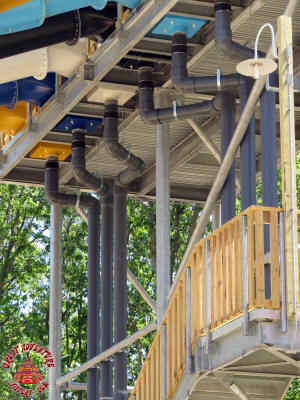 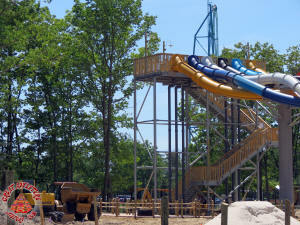 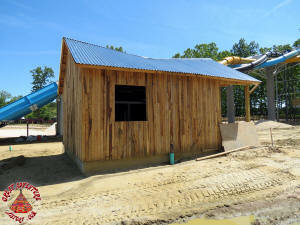 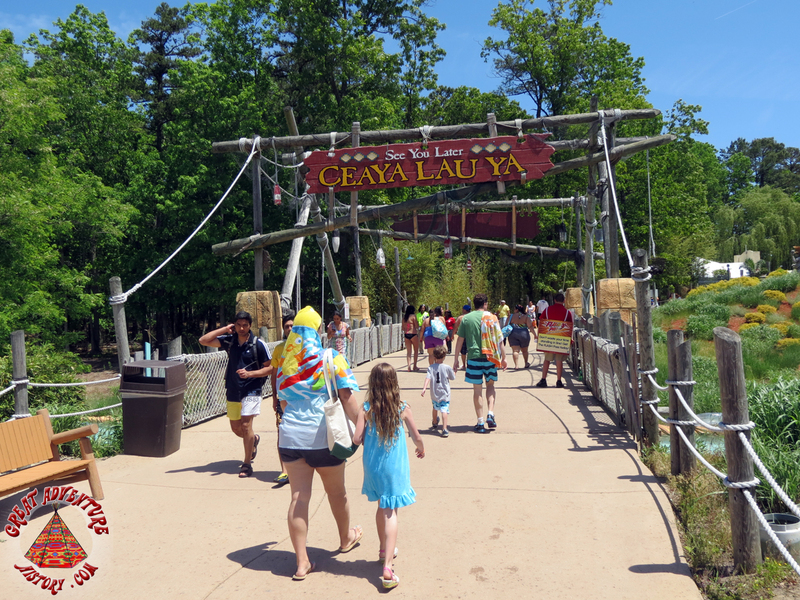 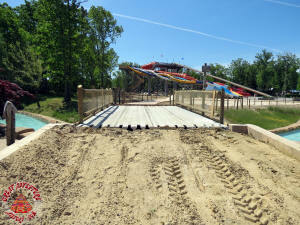 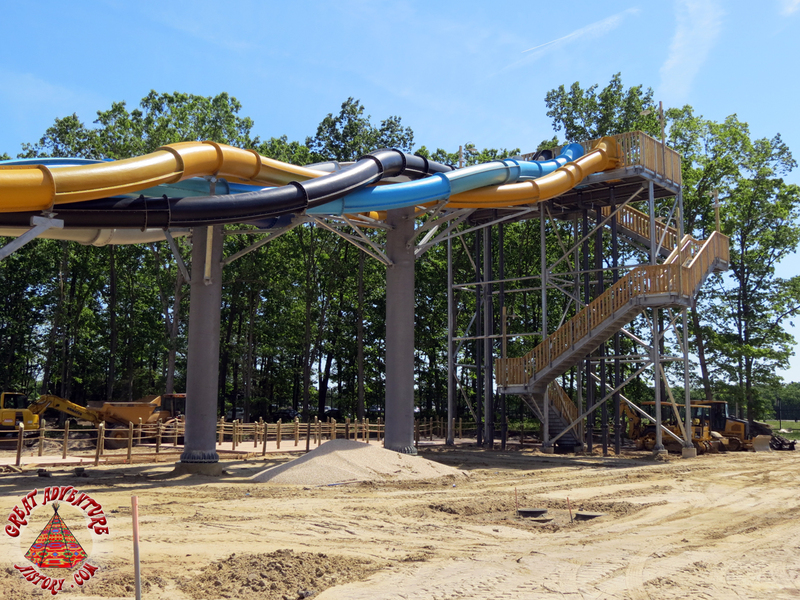 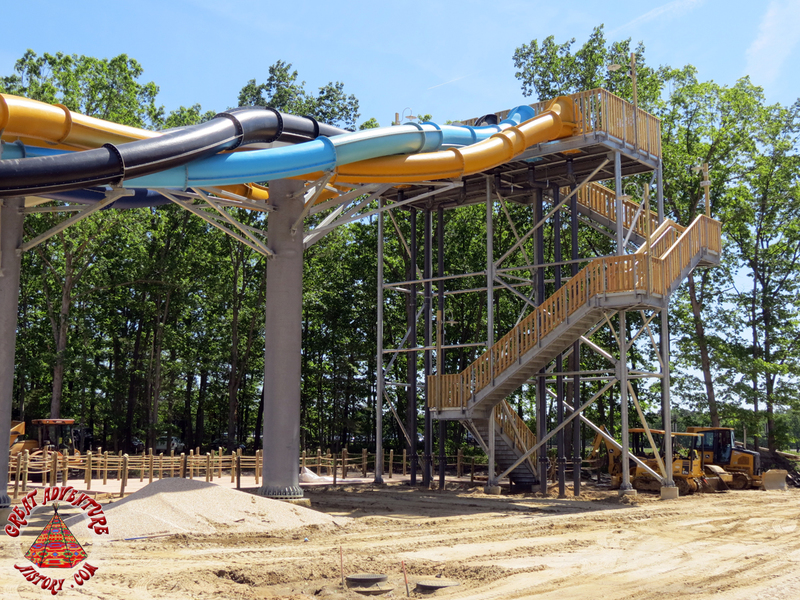 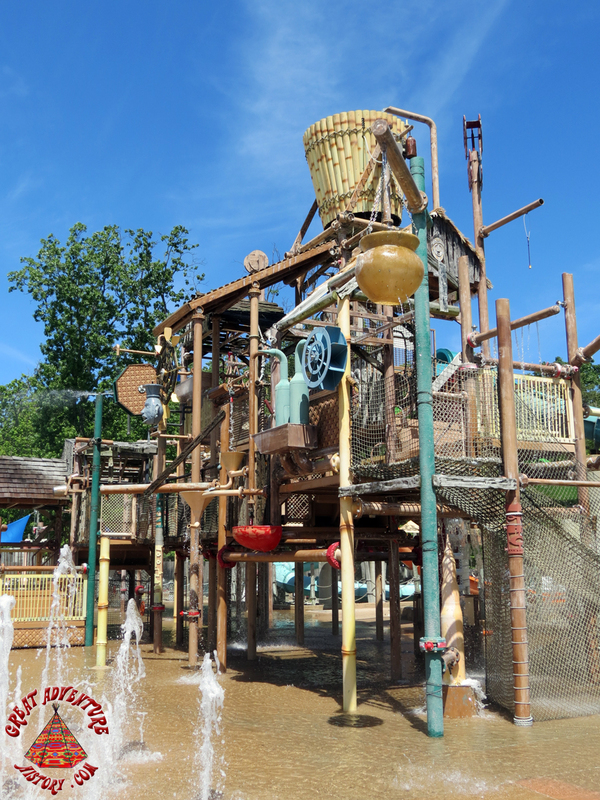 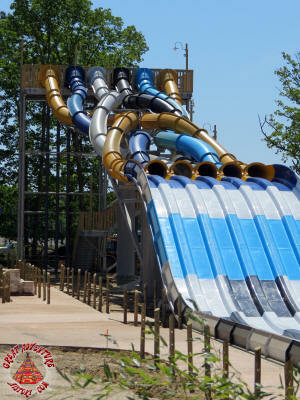 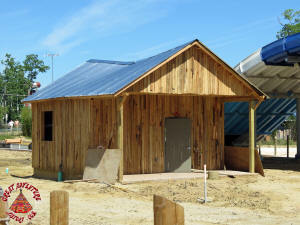 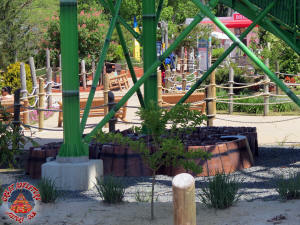 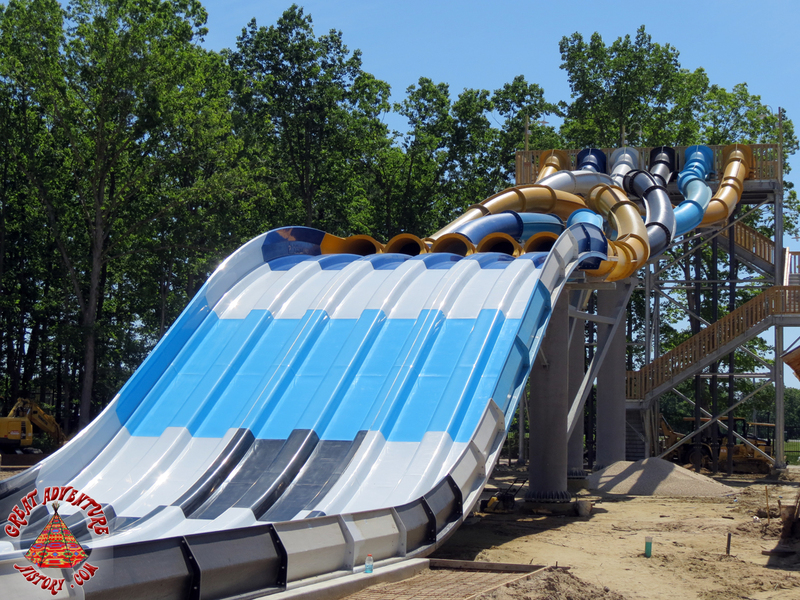 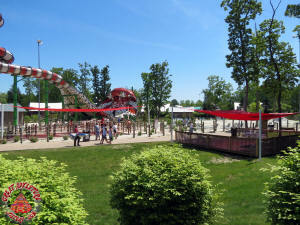 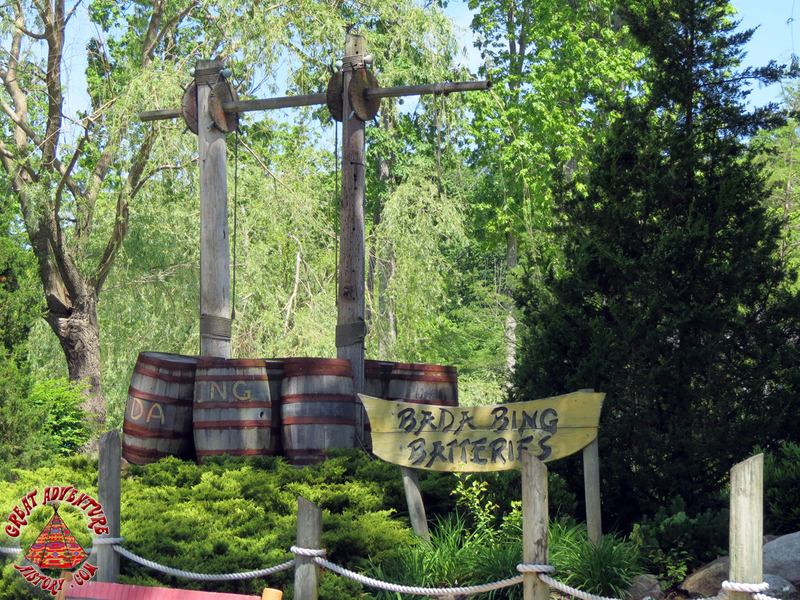 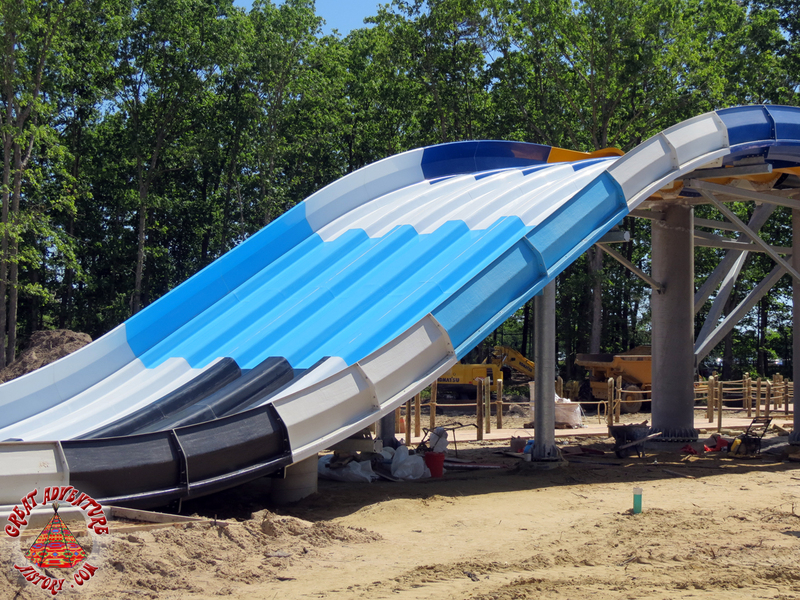 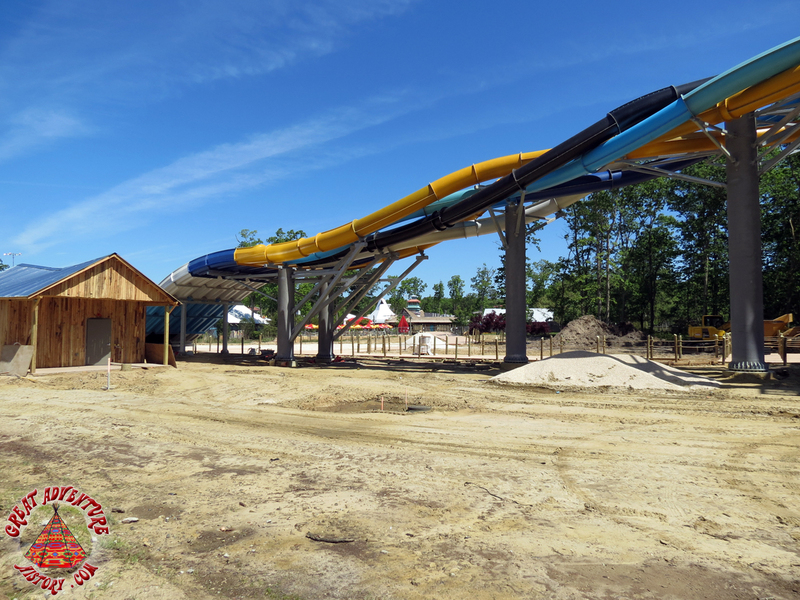 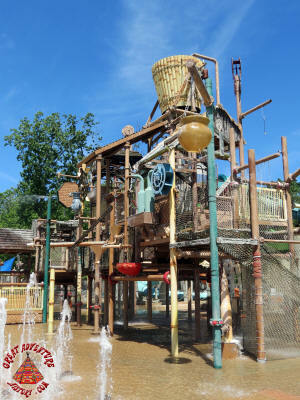 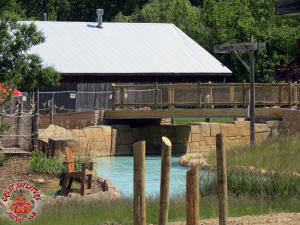 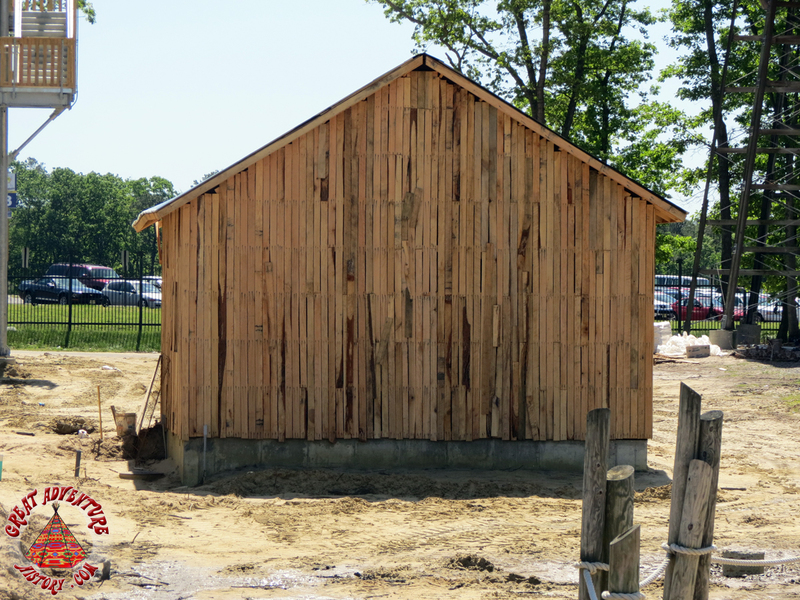 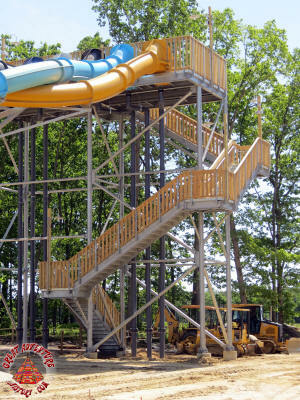 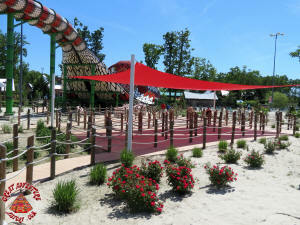 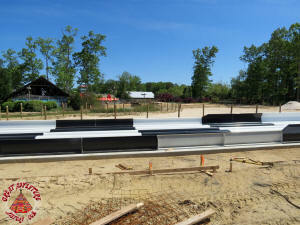 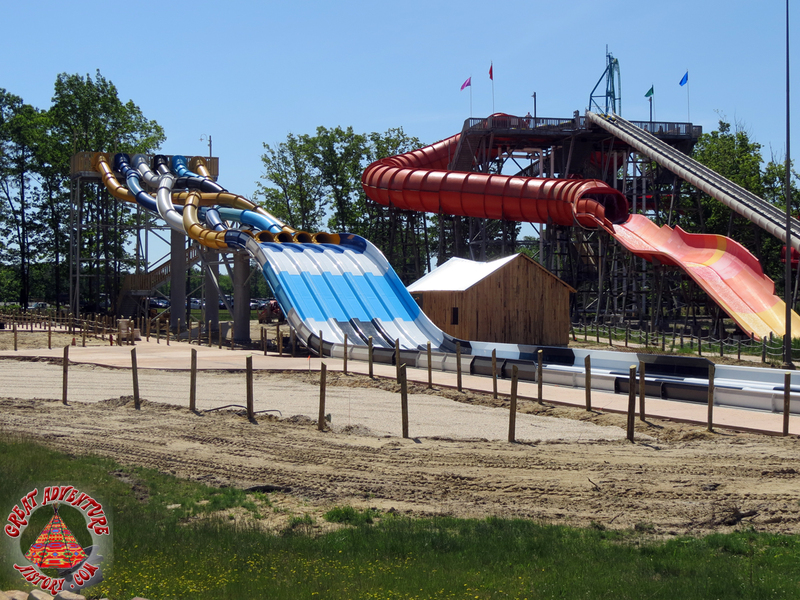 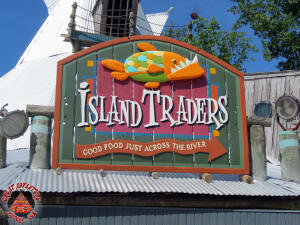 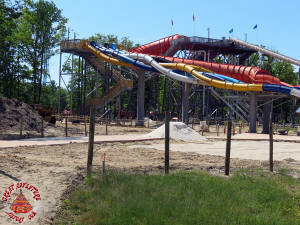 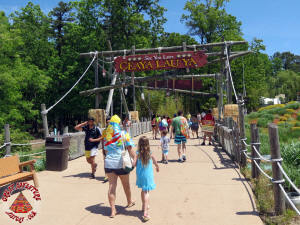 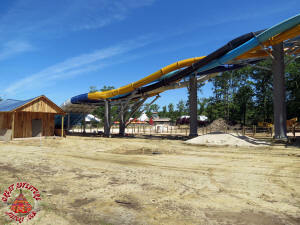 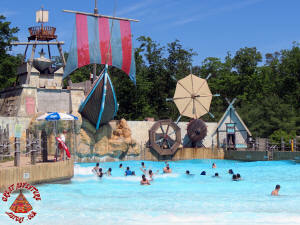 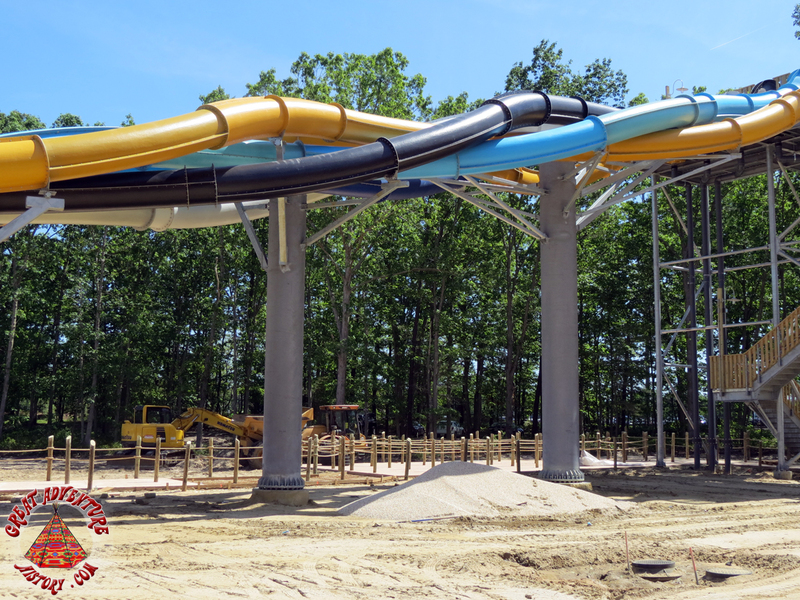 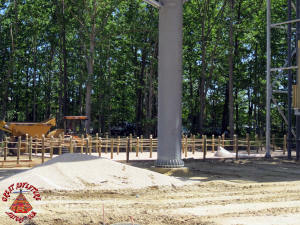 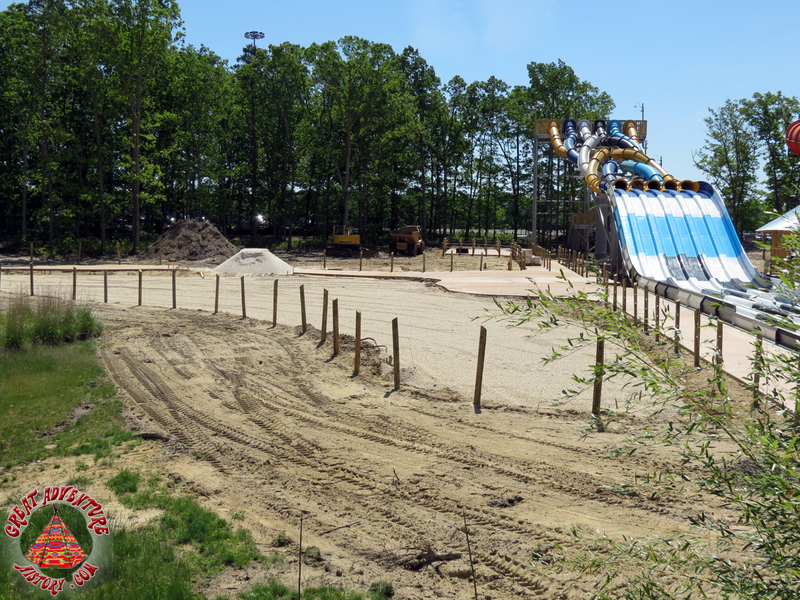 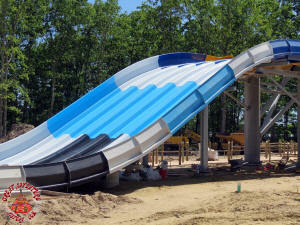 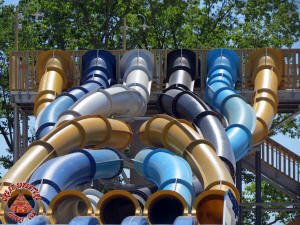 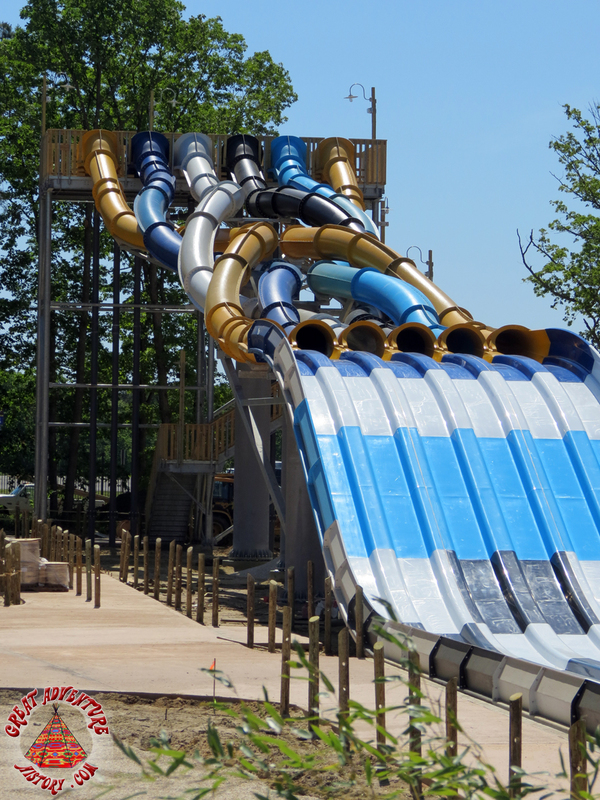 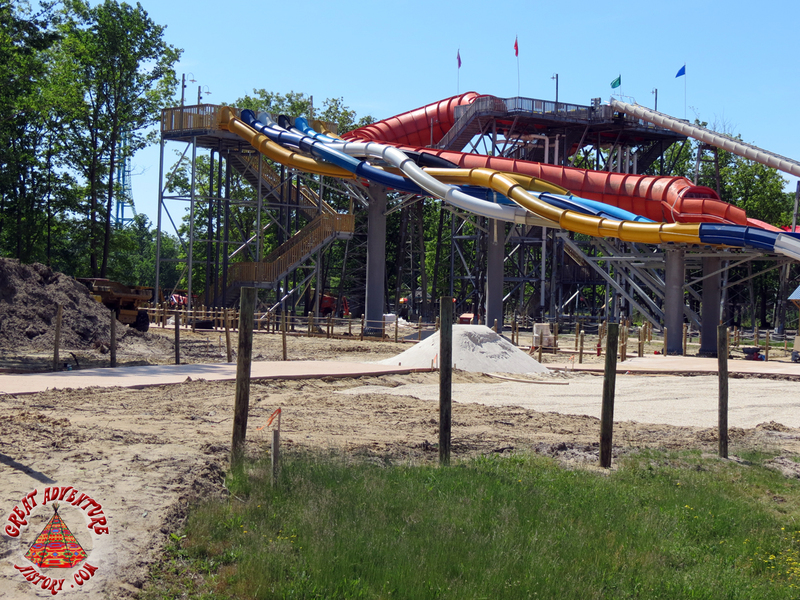 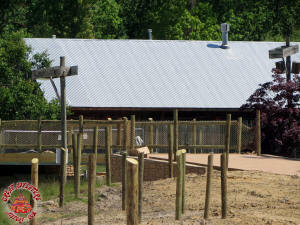 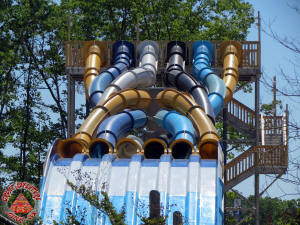 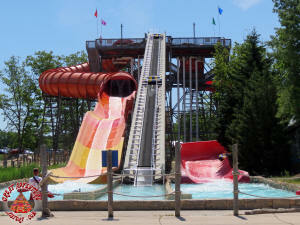 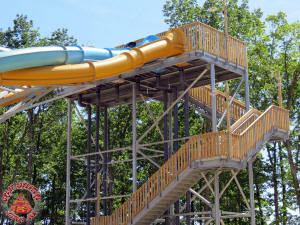 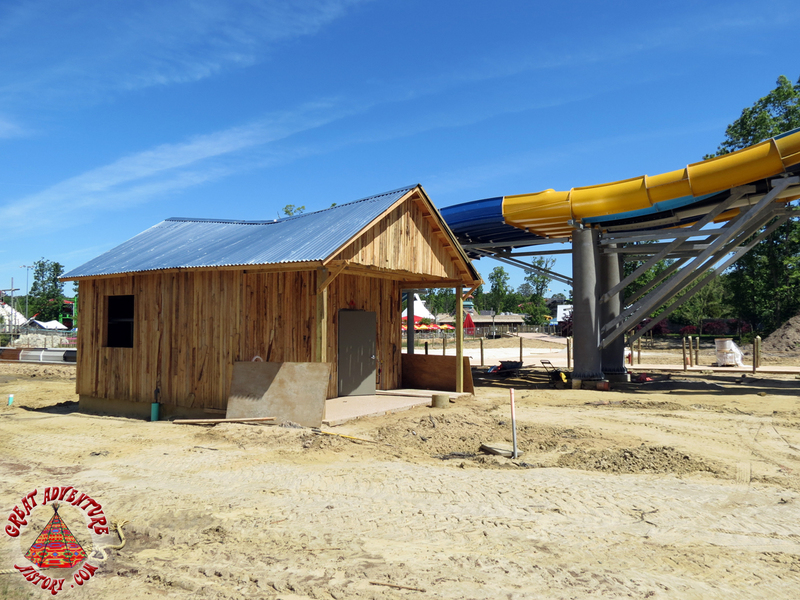 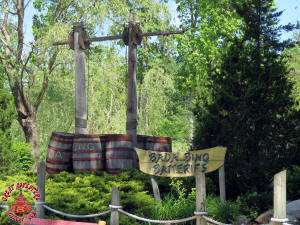 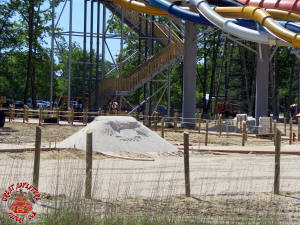 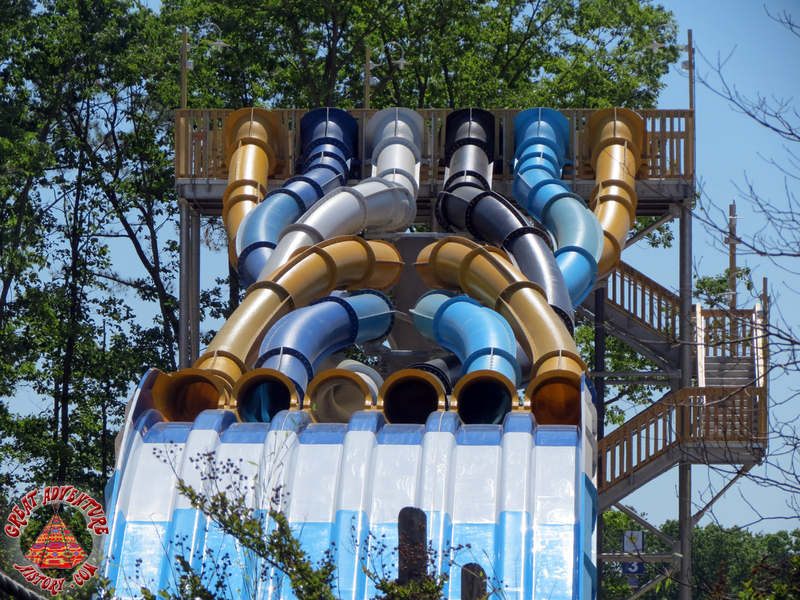 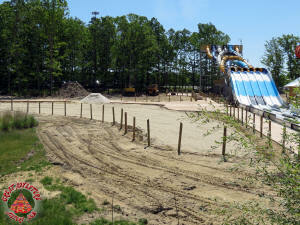 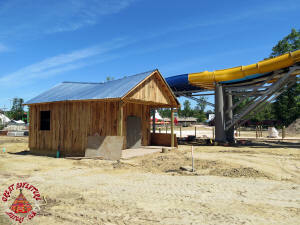 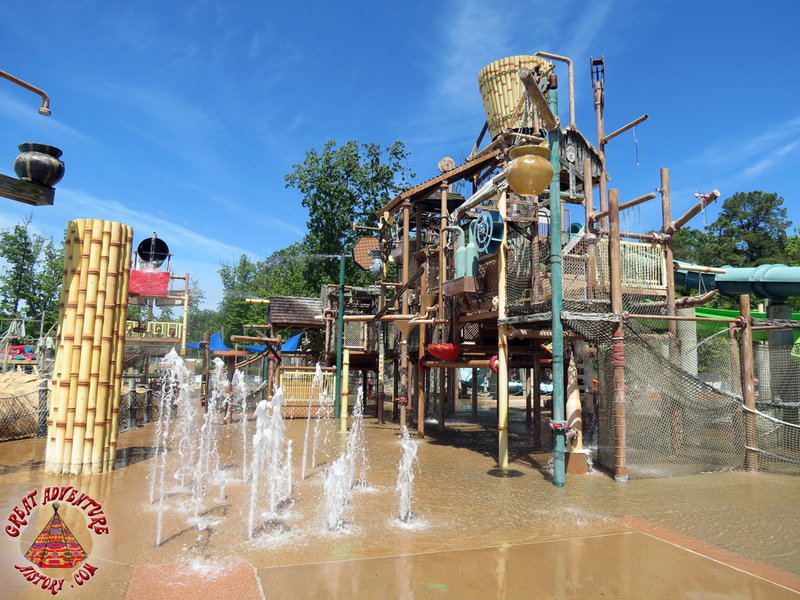 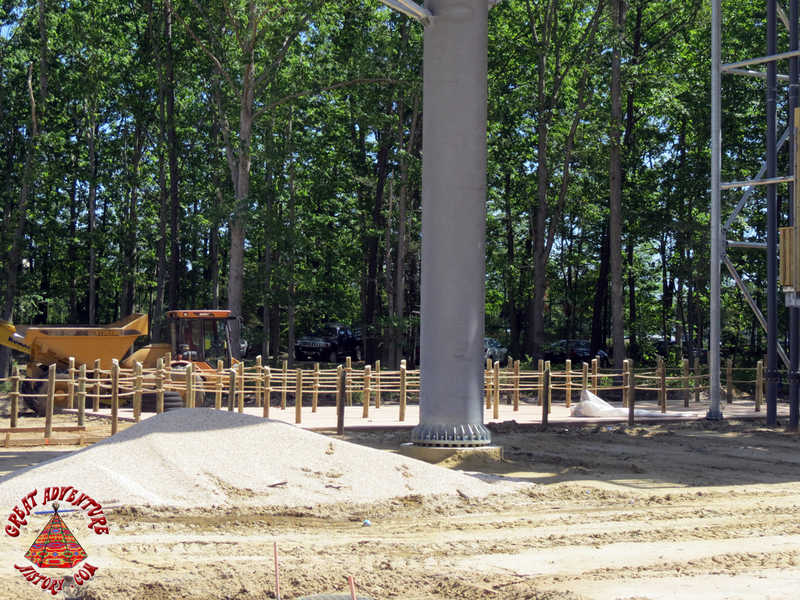 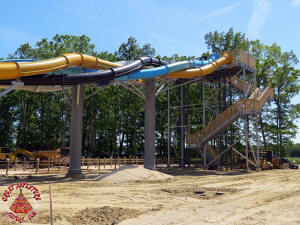 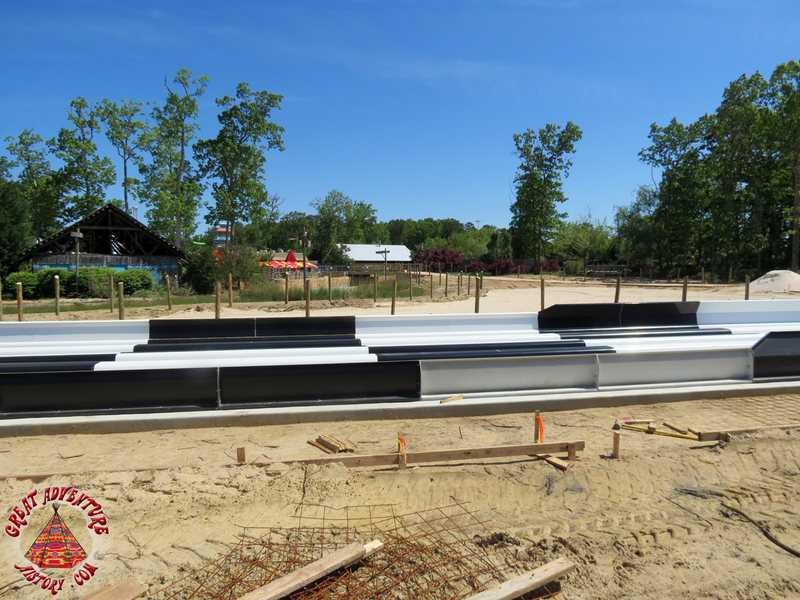 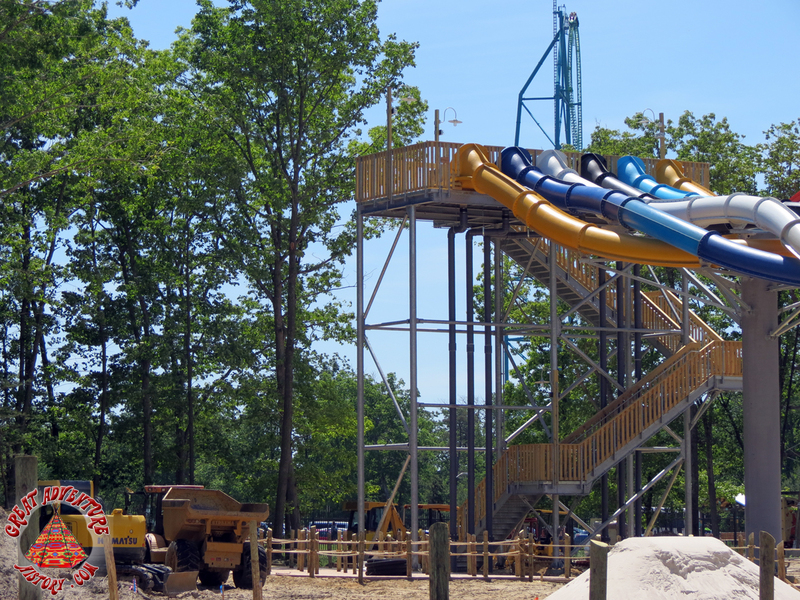 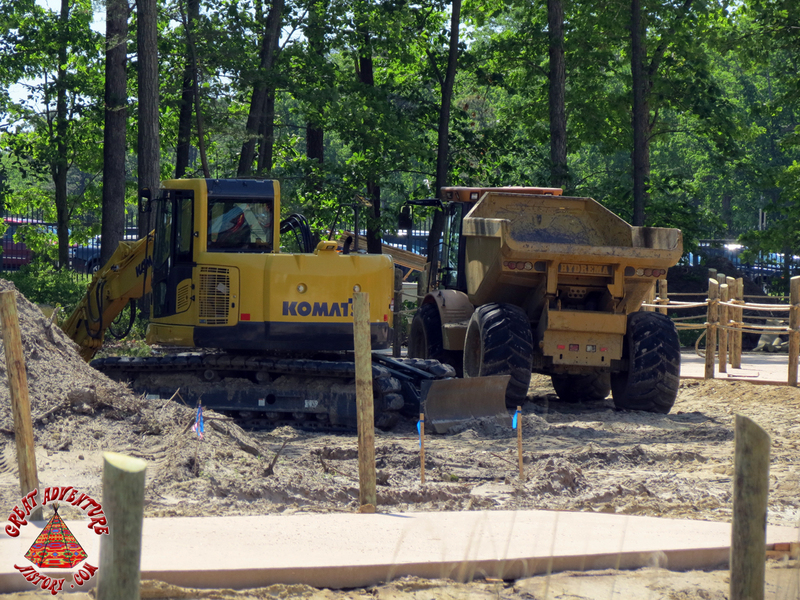 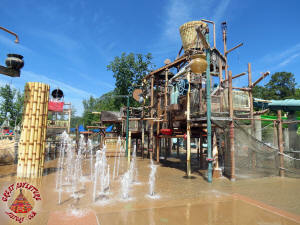 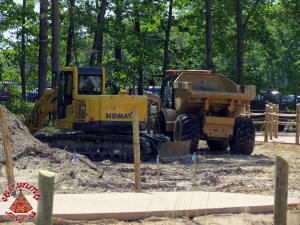 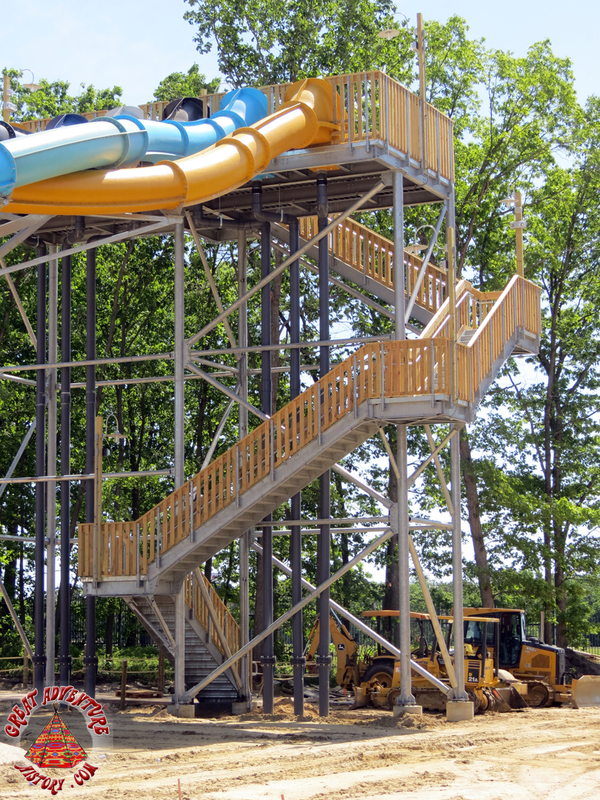 The ride is still under construction and expected to have its grand opening on June 21st. 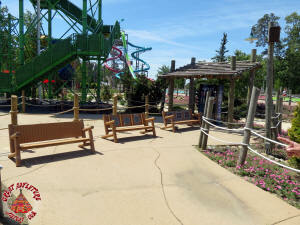 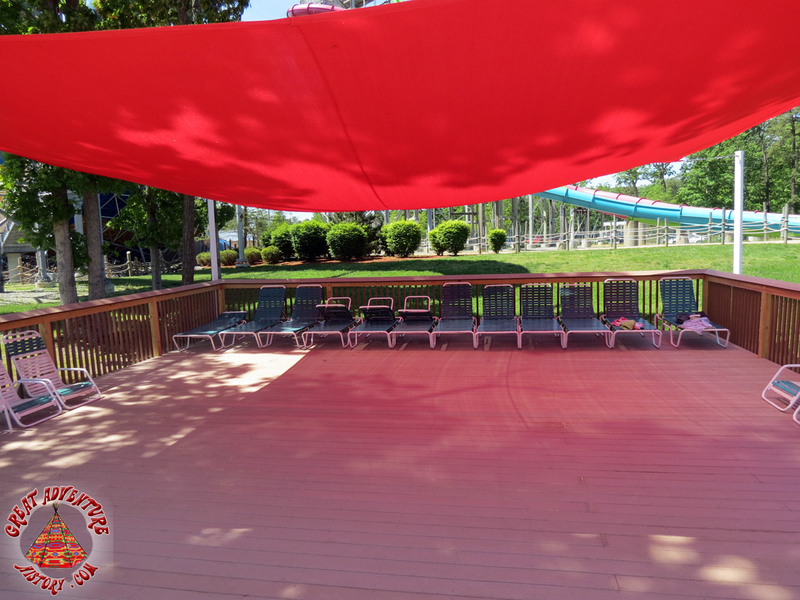 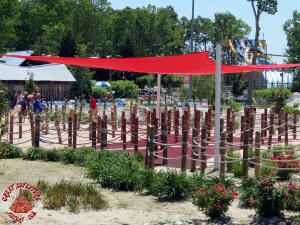 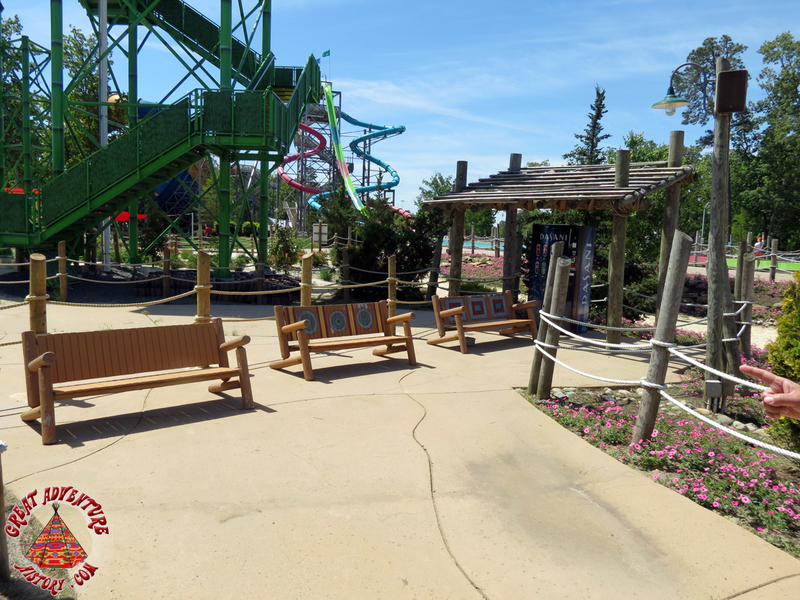 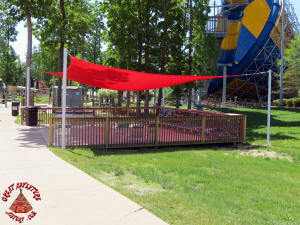 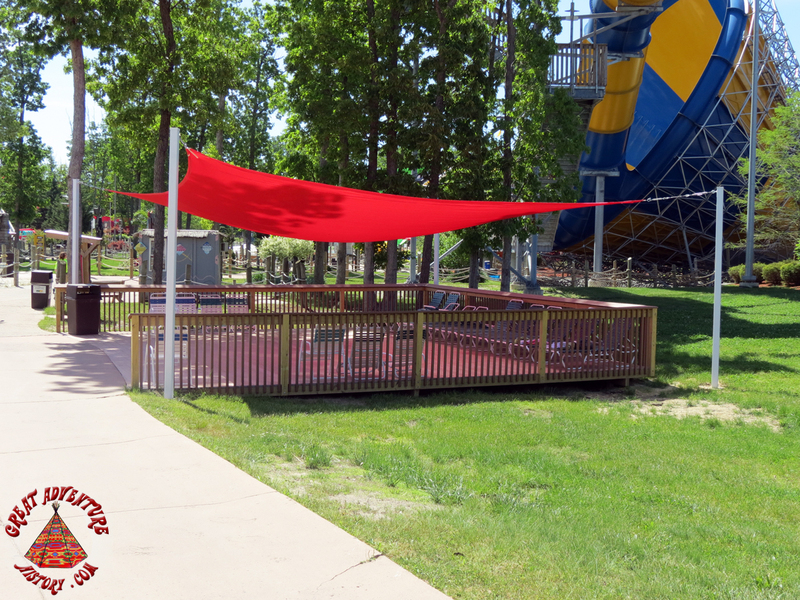 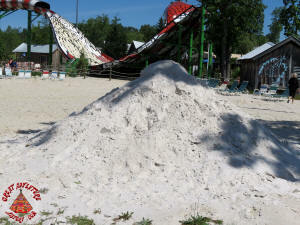 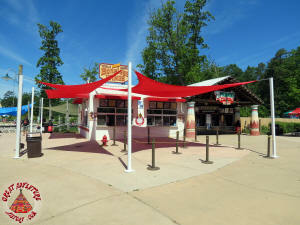 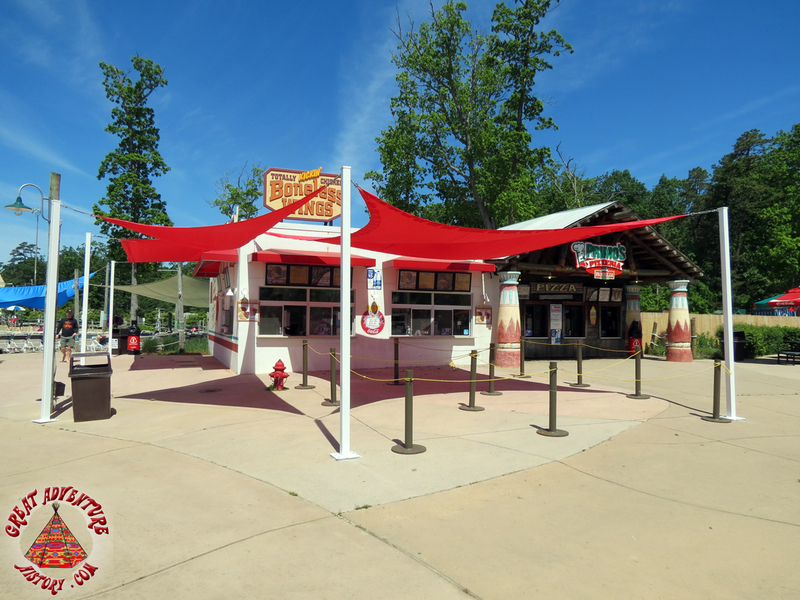 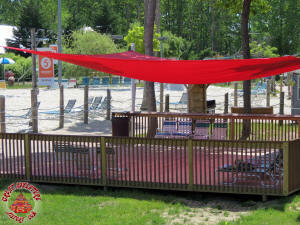 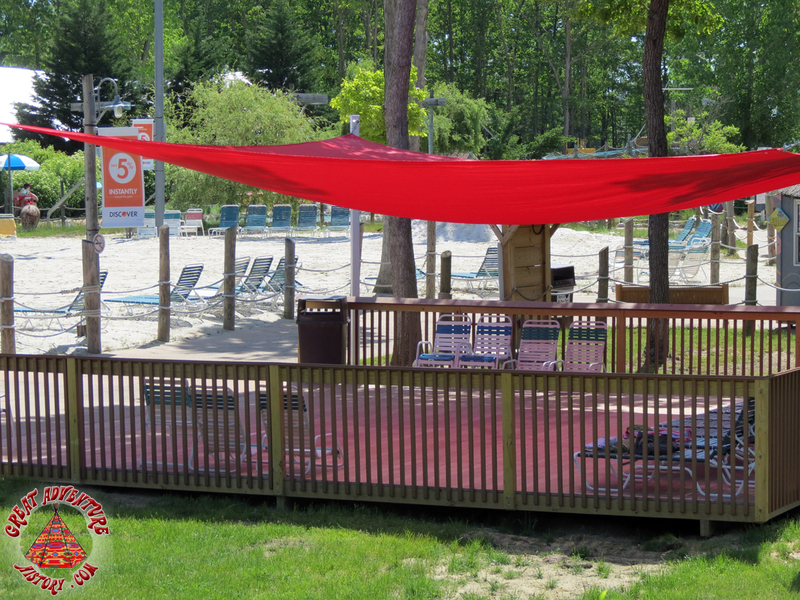 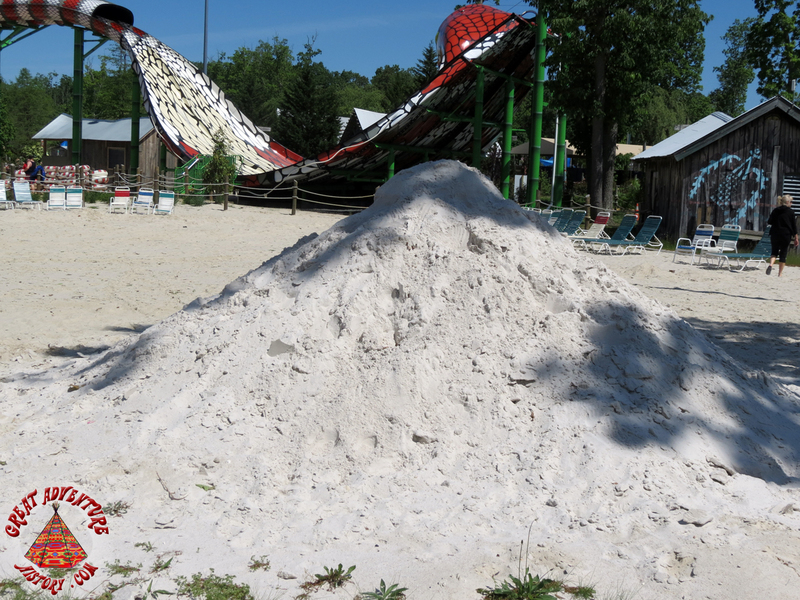 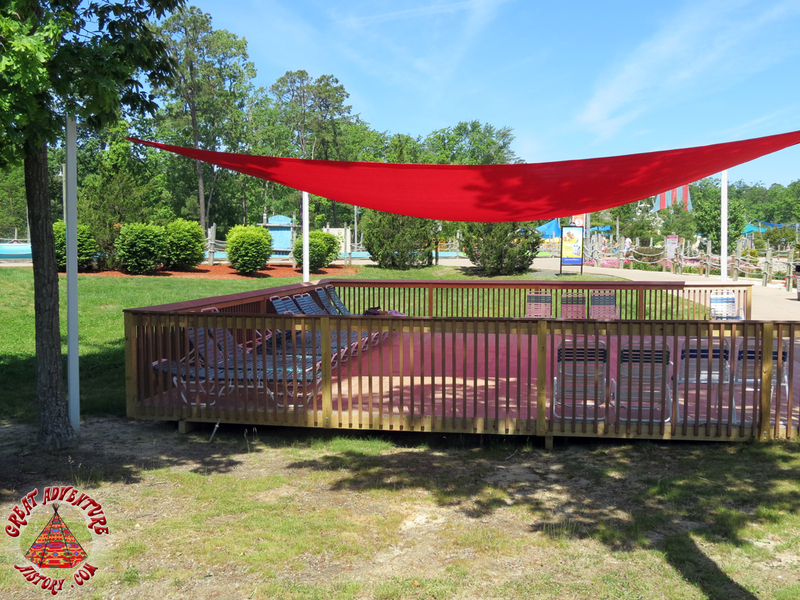 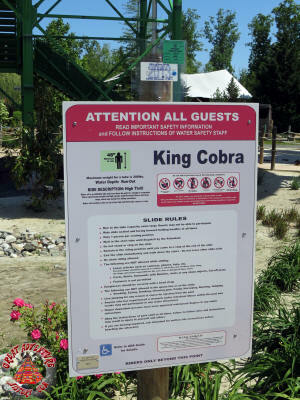 A new shaded patio has been constructed across from the King Cobra slide. A pathway near Tornado has been officially closed off. 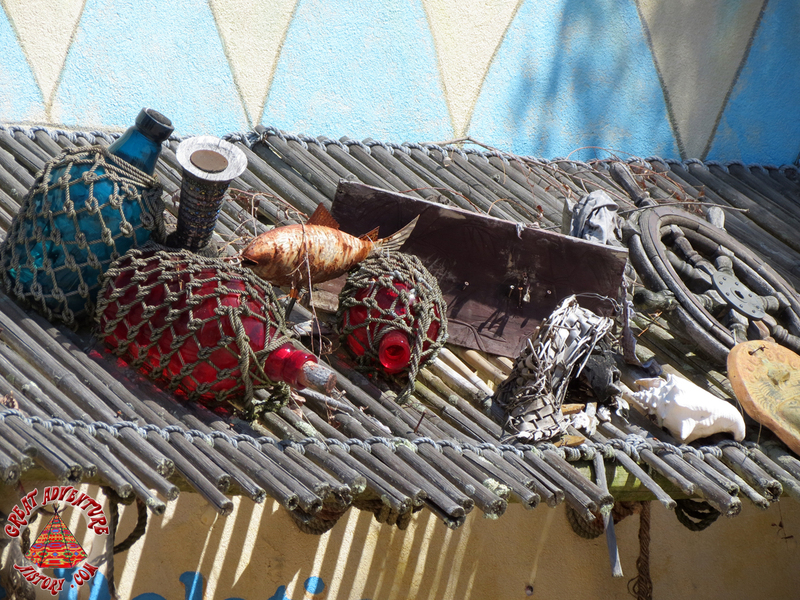 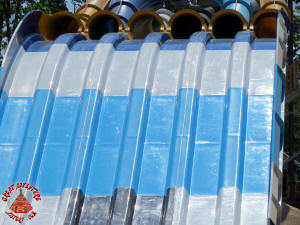 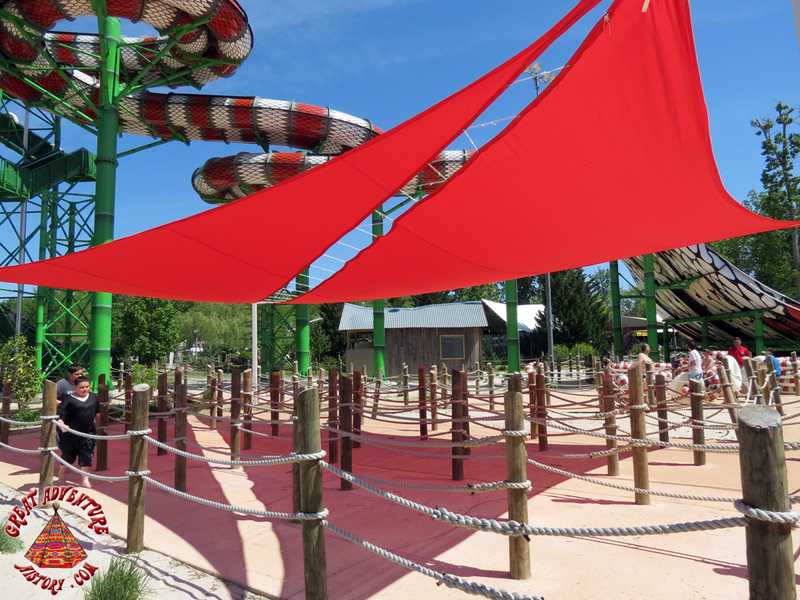 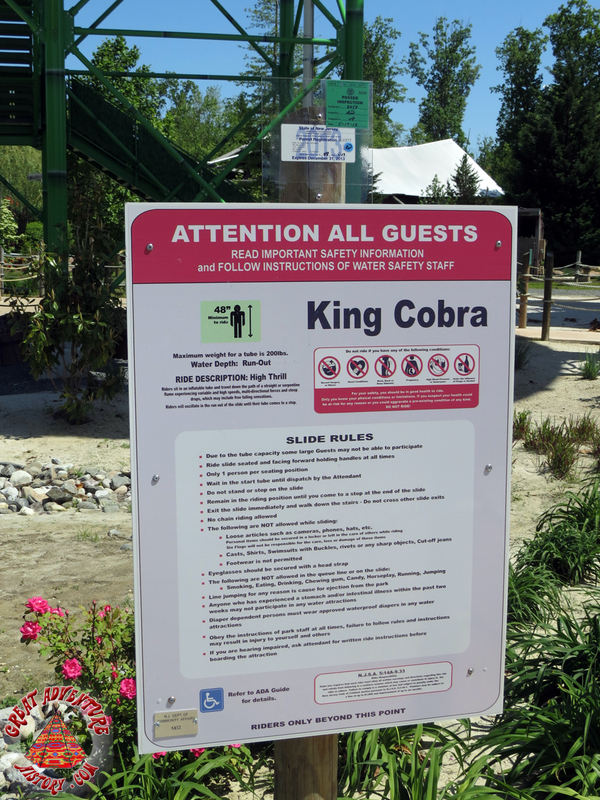 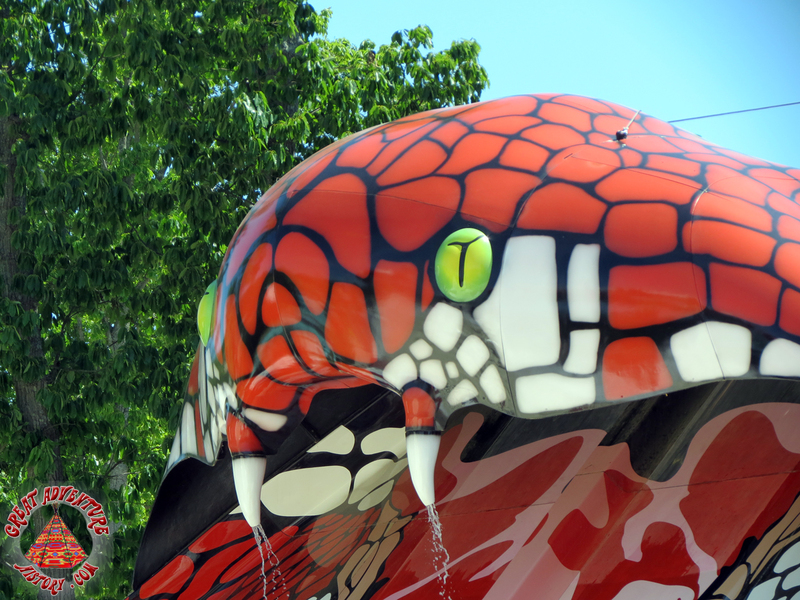 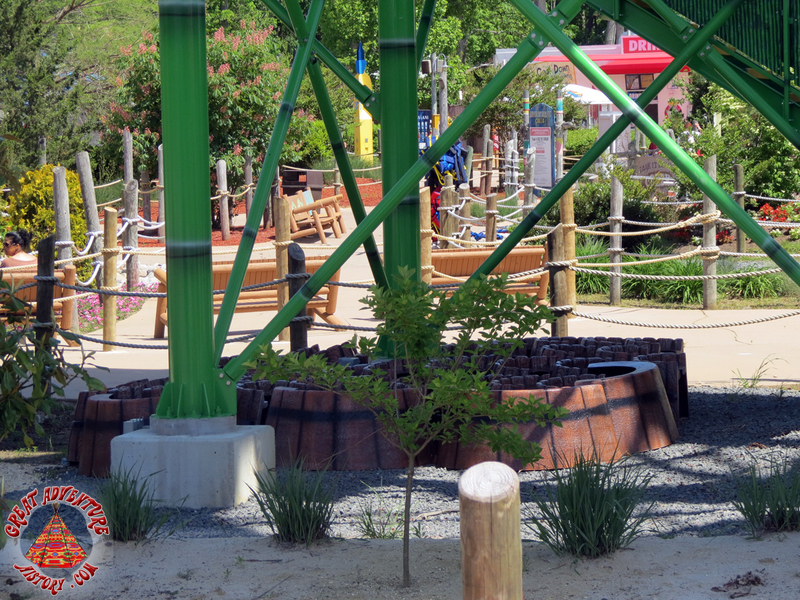 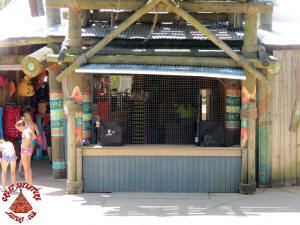 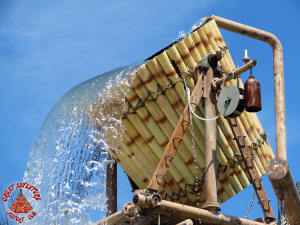 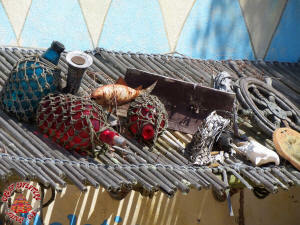 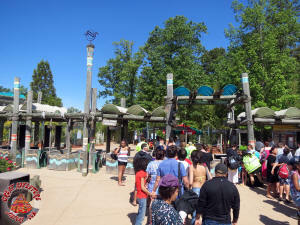 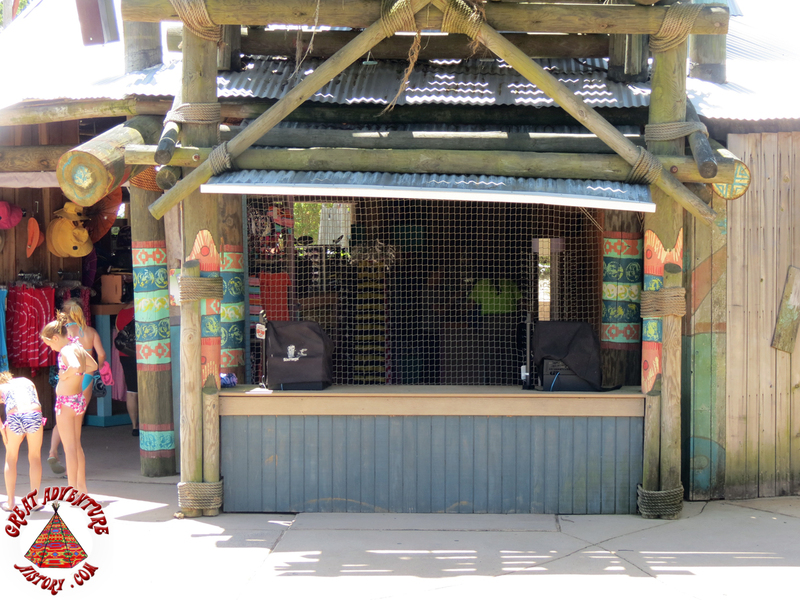 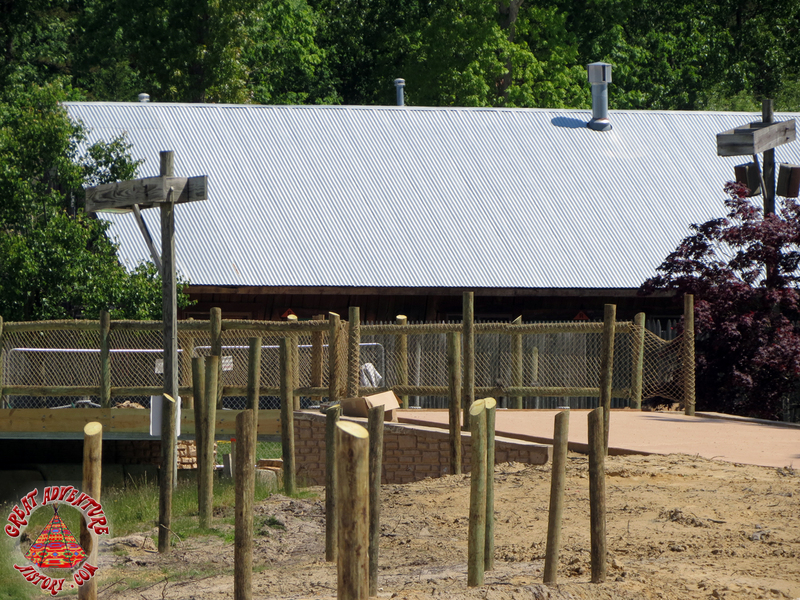 A shade structure has also been added over the King Cobra queue. 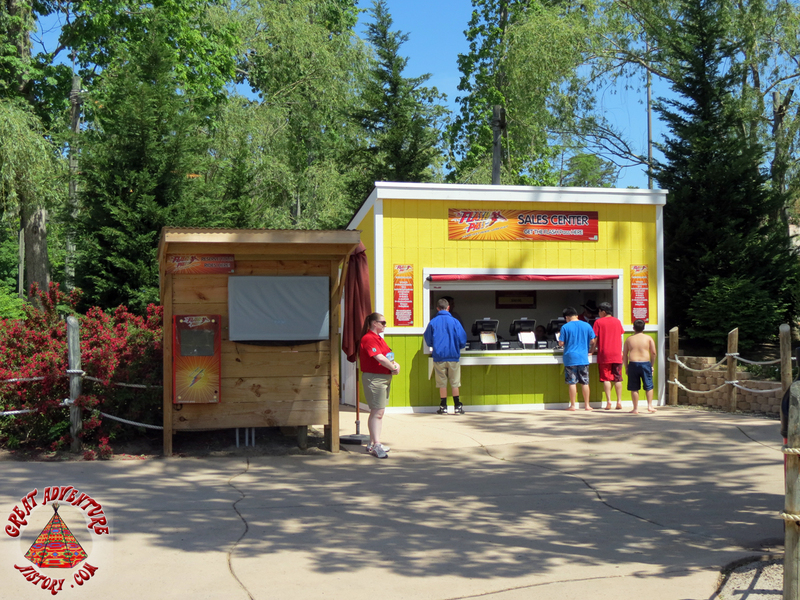 Shade is also provided for guests waiting in the food lines. 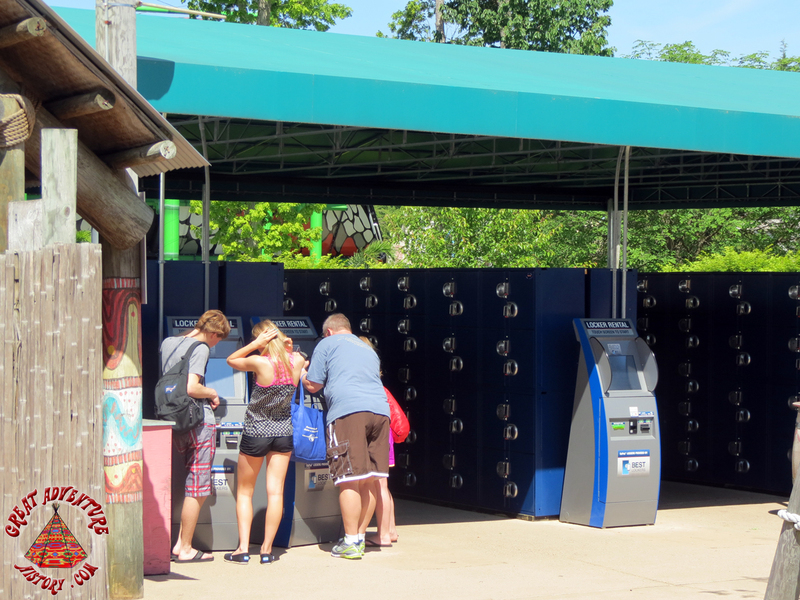 The new lockers make the old locker rental desk obsolete.